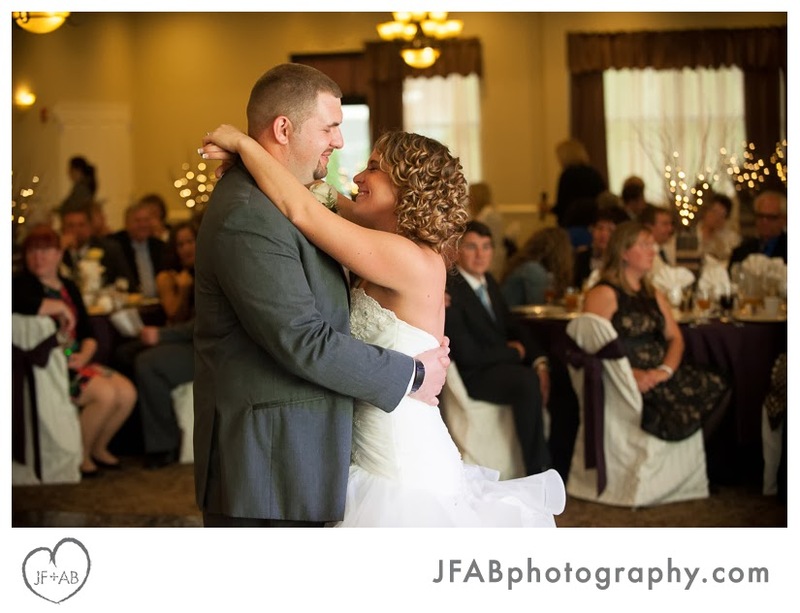 In a way, it seemed like Gina and Brenden were already married. 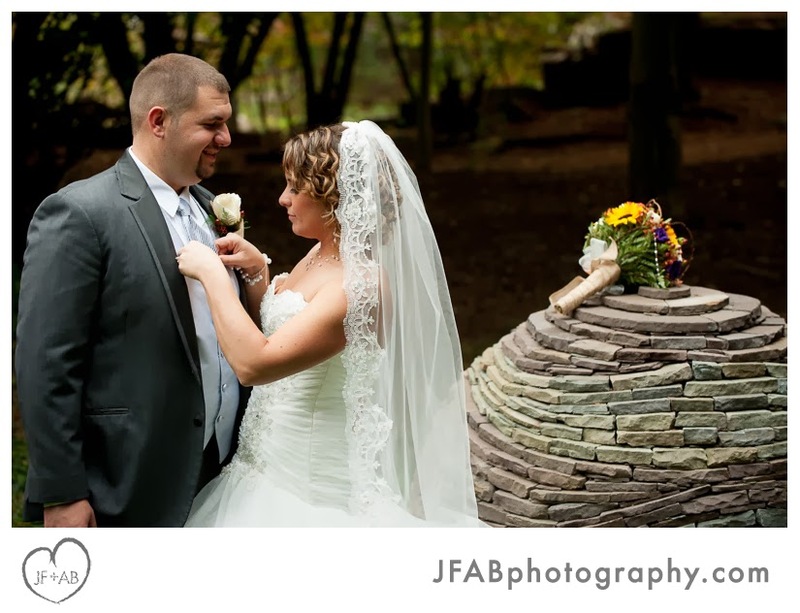 They own a home together. 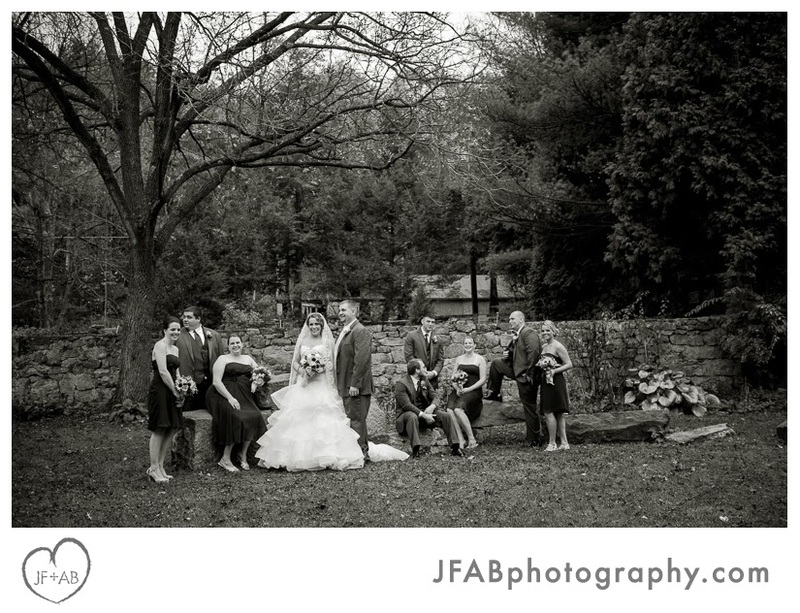 Their families are so involved and at ease with one another and with them as a couple. 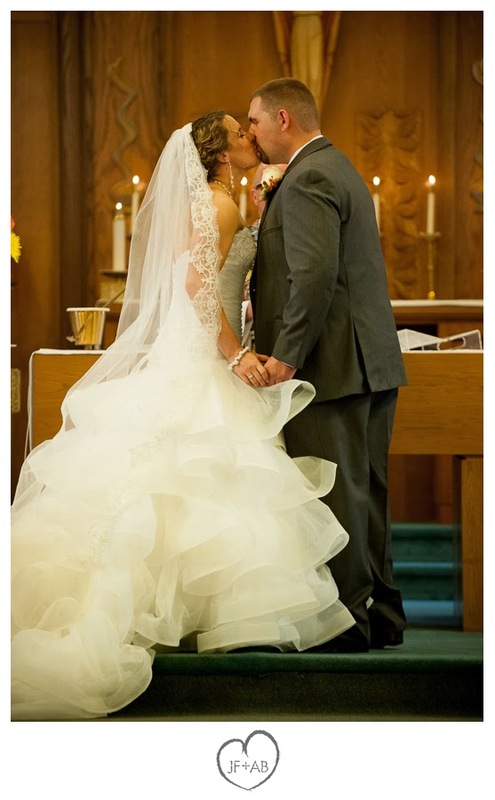 And Gina and Brenden are so comfortable with each other, kind of like they've been together for a long time. 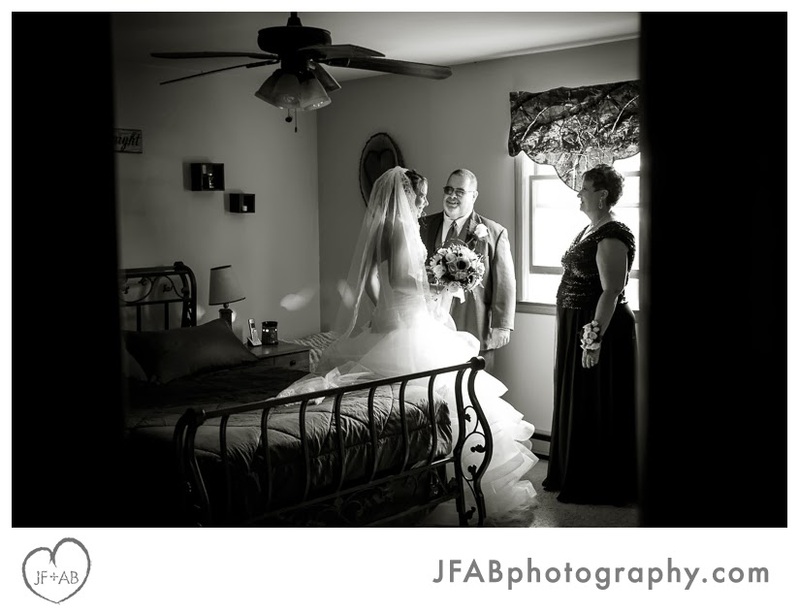 But all the romance of a new love was present on their wedding day. 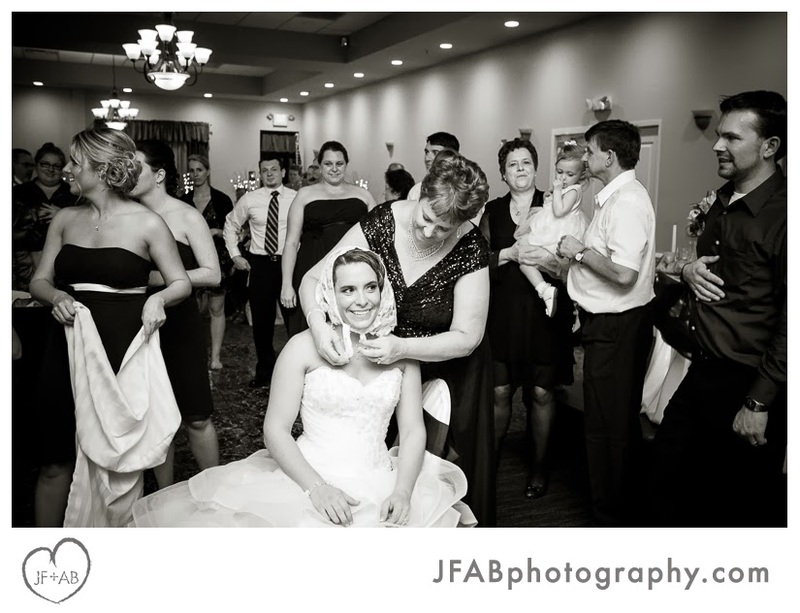 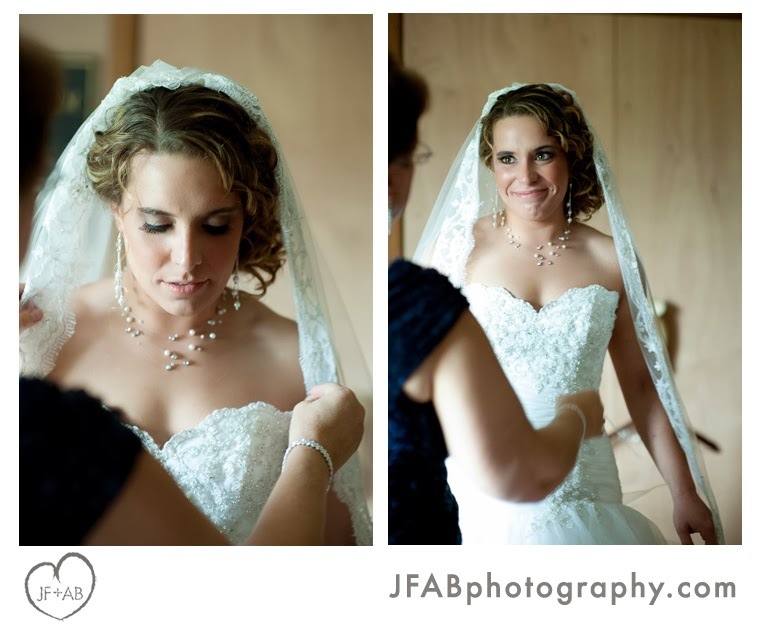 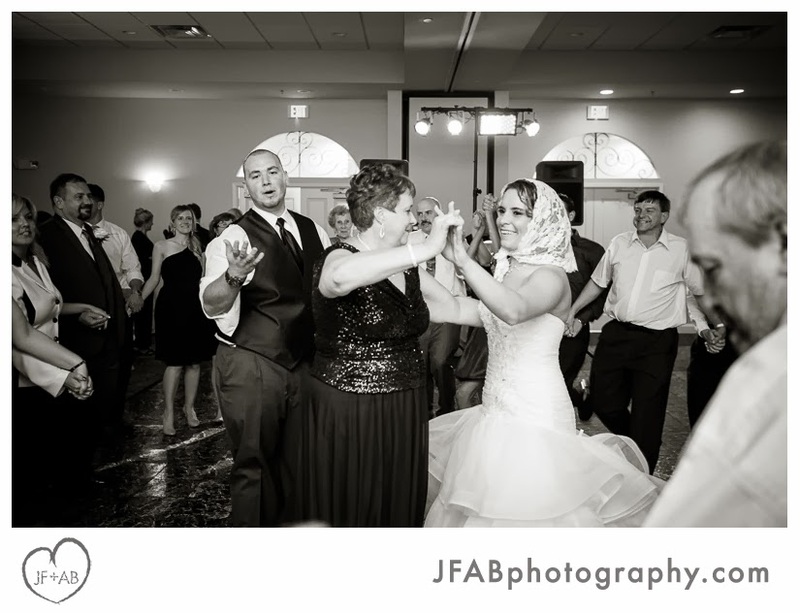 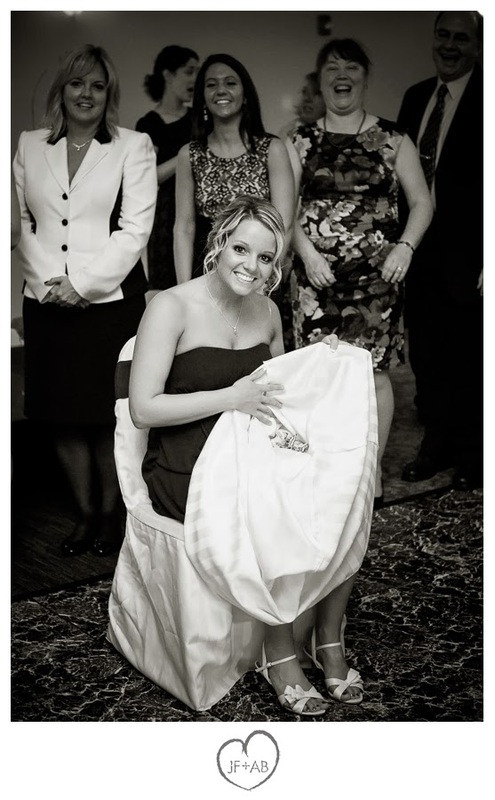 Gina is the kind of girl that got choked up as her mom helped her on with her veil. 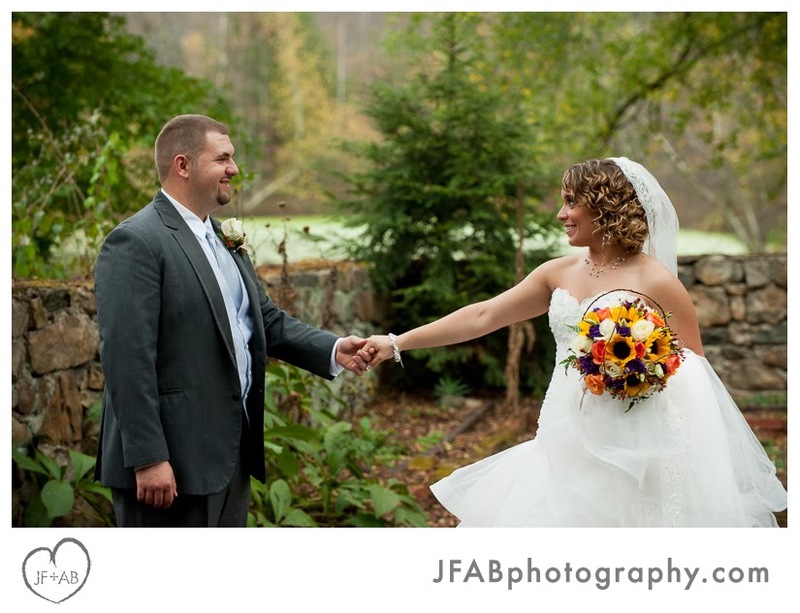 Brenden is the kind of guy that got down on one knee for Gina and kissed her hand during the portrait session. 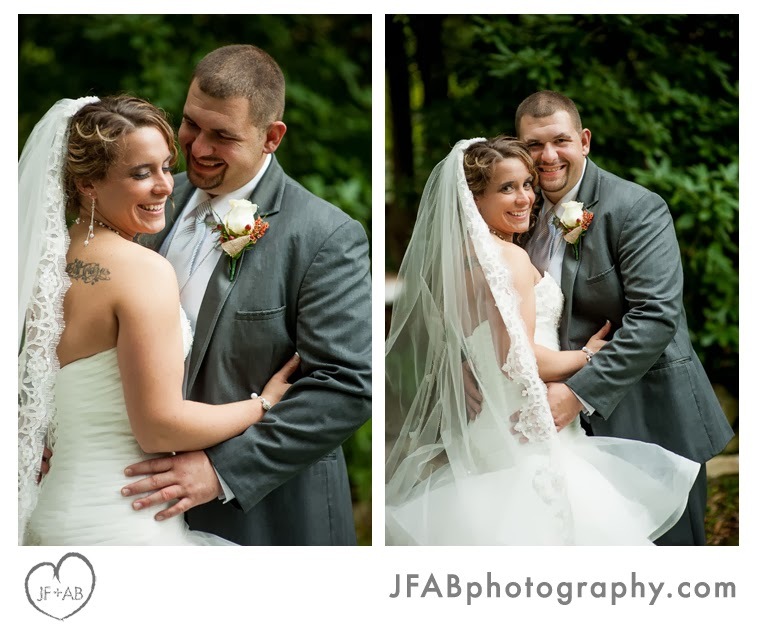 They are an incredibly sweet couple and we're so happy for them! 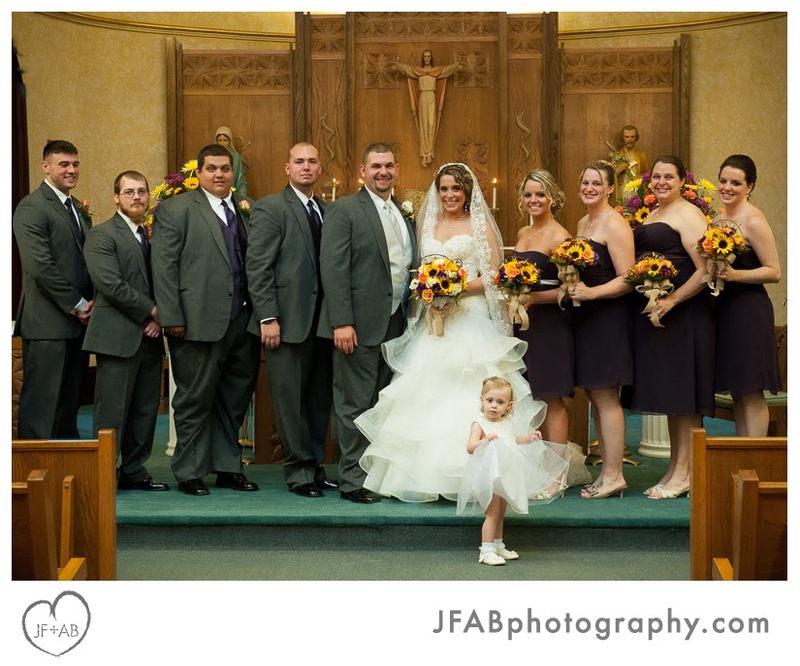 A lot of planning went into this day. 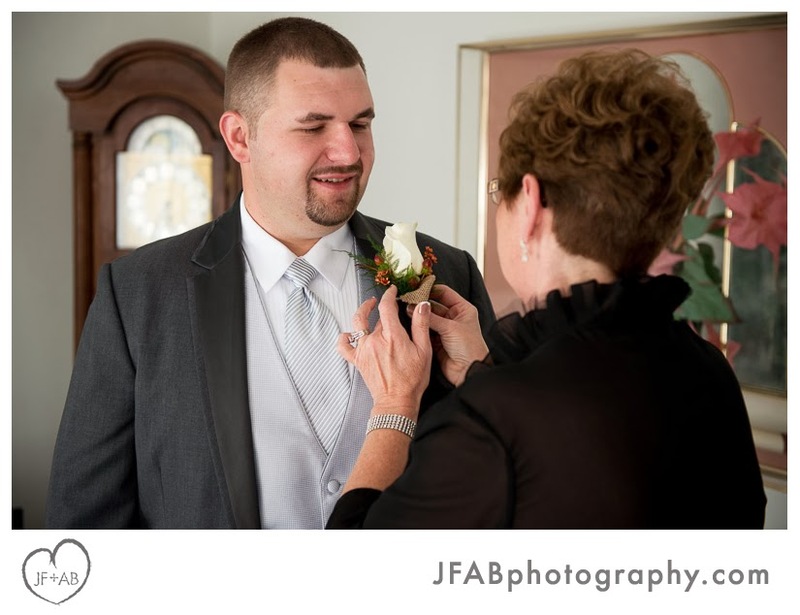 I met with Gina and Brenden's mother on one occasion for planning and scouted the portrait location with Gina and Brenden on another. 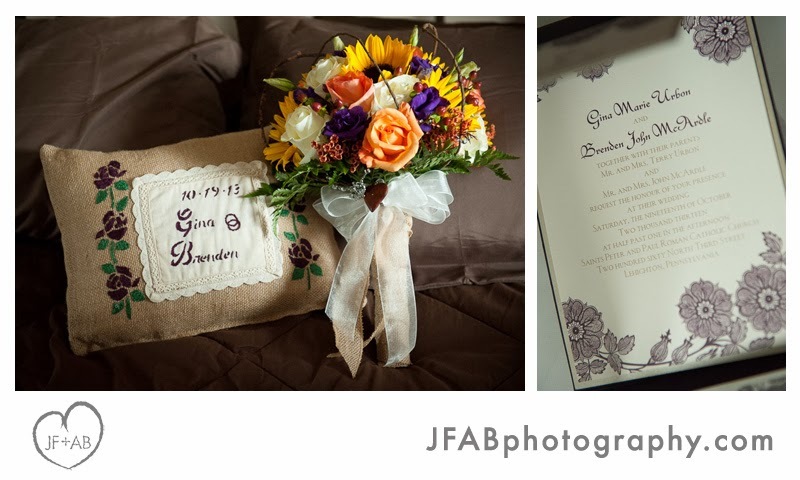 Josh shot their engagement photos last year and helped them capture some images for their save-the-date cards. 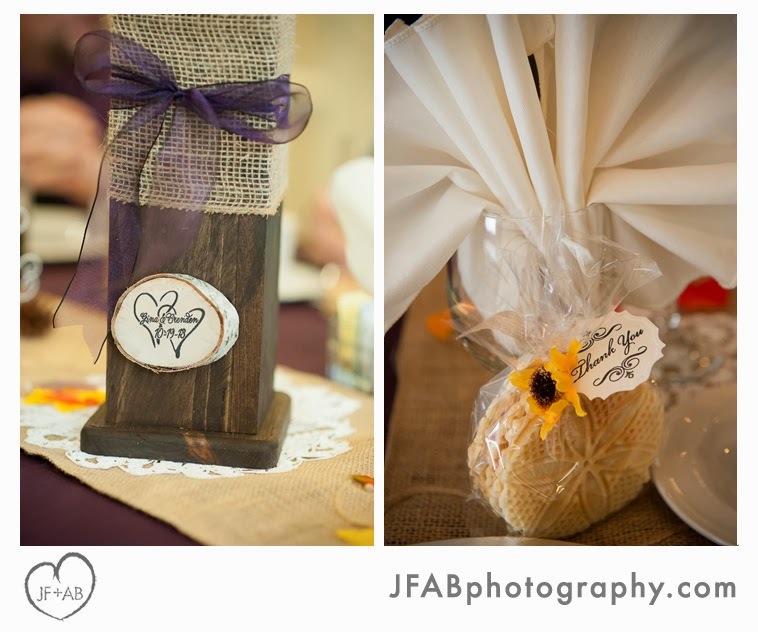 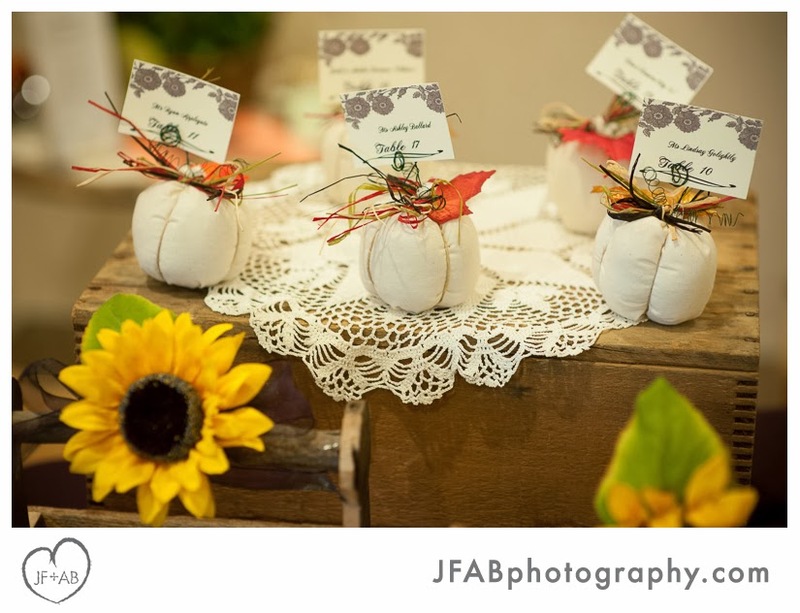 Probably around that same time, Gina's mother started making some of the many little personal touches that graced Gina and Brenden's reception including the stuffed pumpkin place card holders for each of their 200 wedding guests. 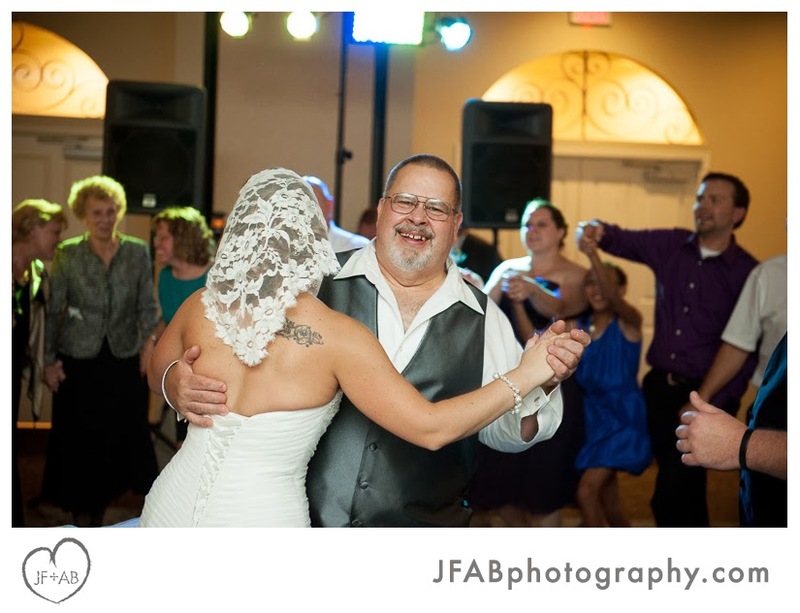 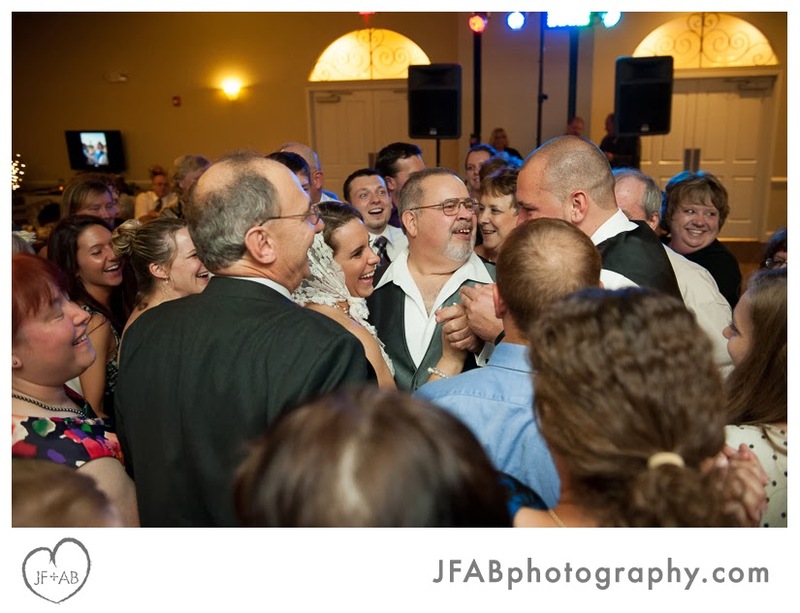 Family and friends contributed in numerous other ways to help make their day special, from Gina's uncle keeping the party going as DJ to the homemade cookies gifted to guests as favors. 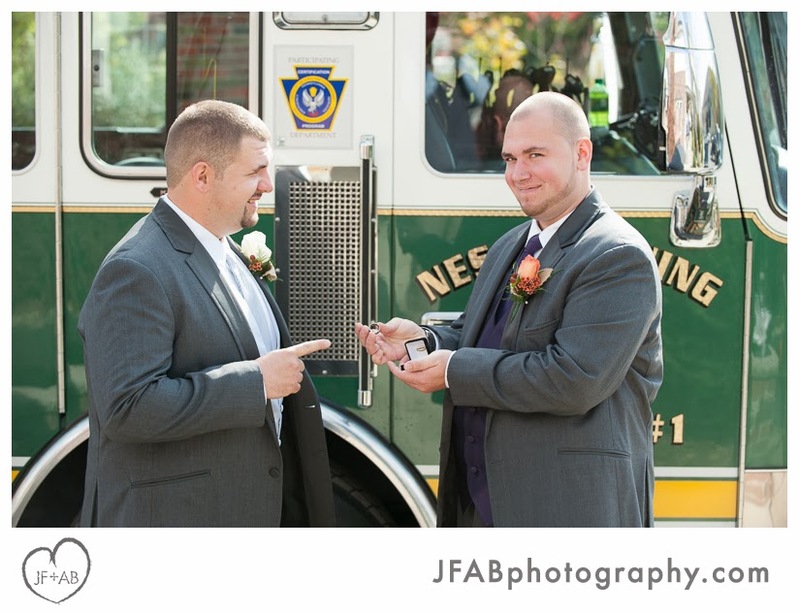 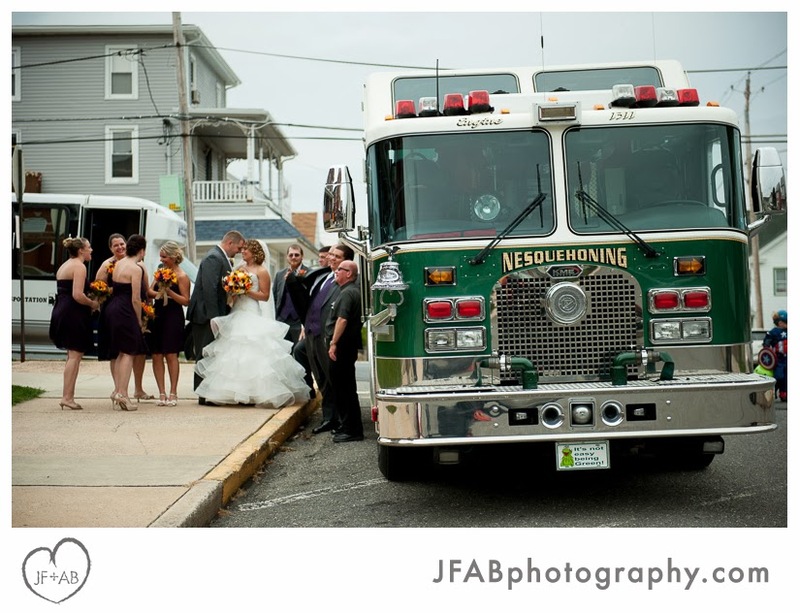 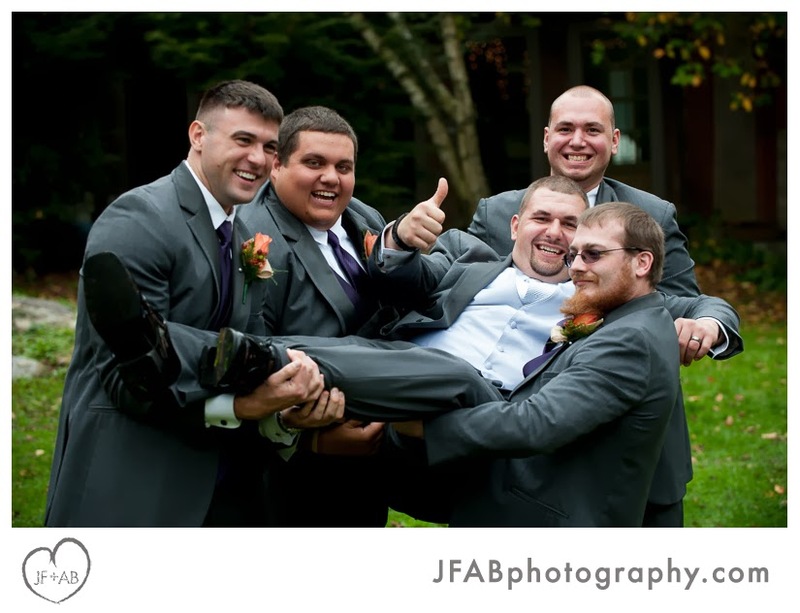 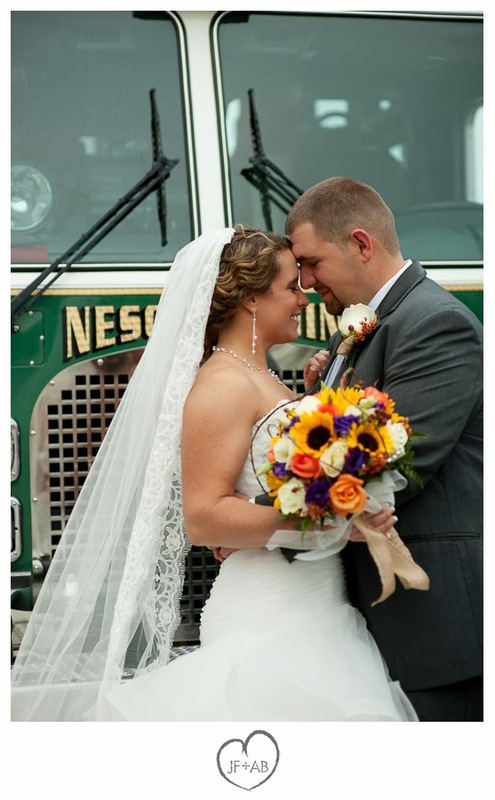 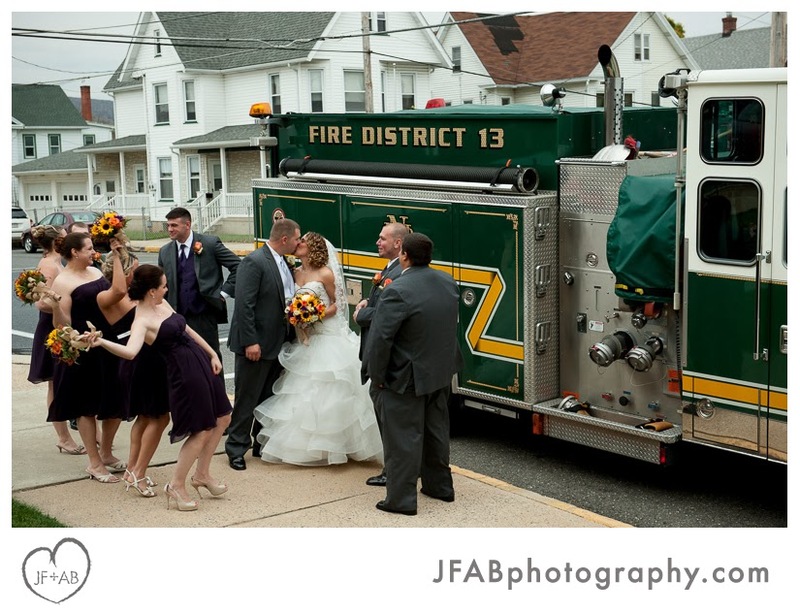 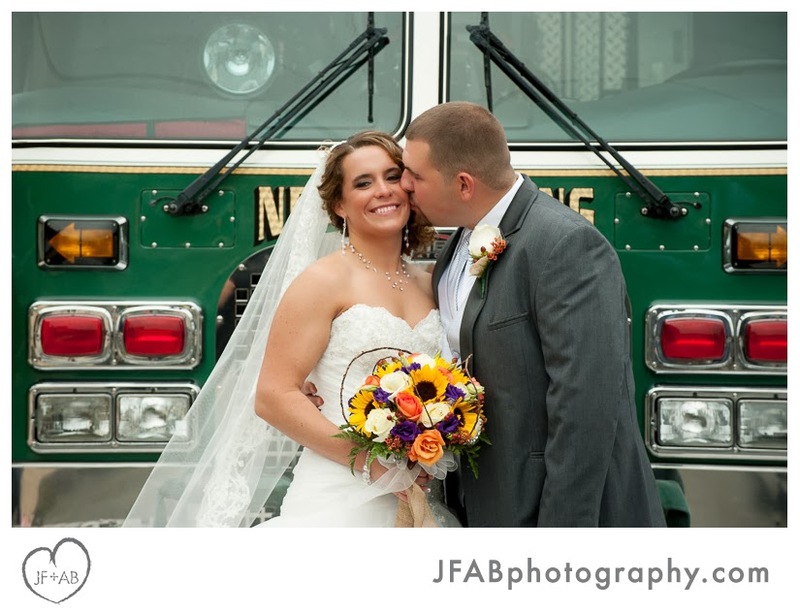 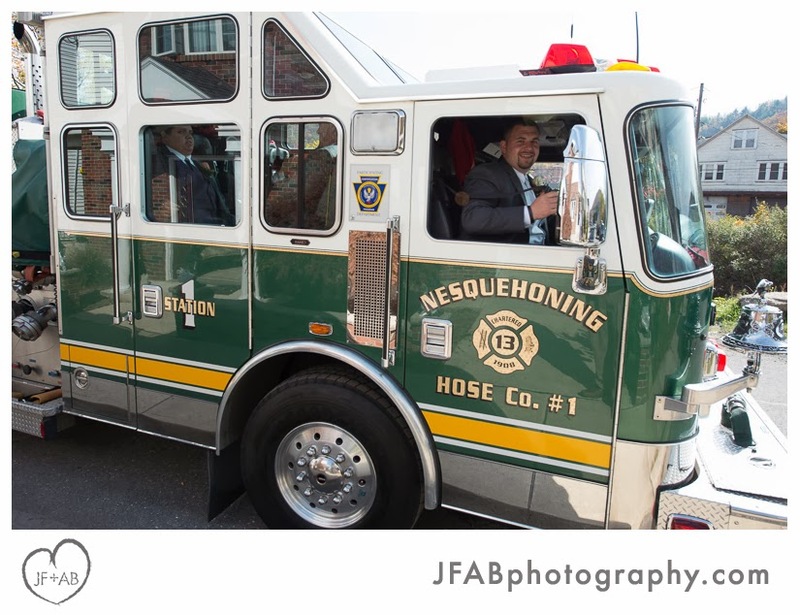 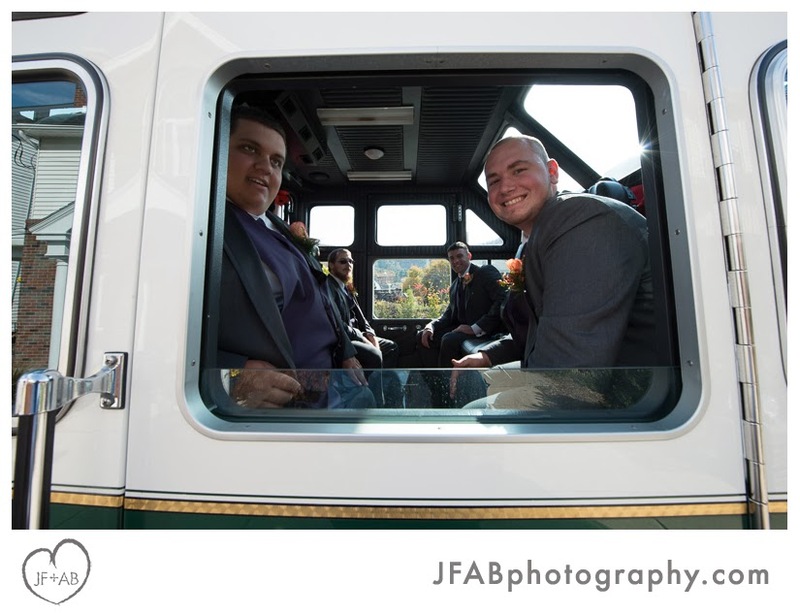 Brenden is a volunteer fireman and his company gave him and his groomsmen a lift to the ceremony. 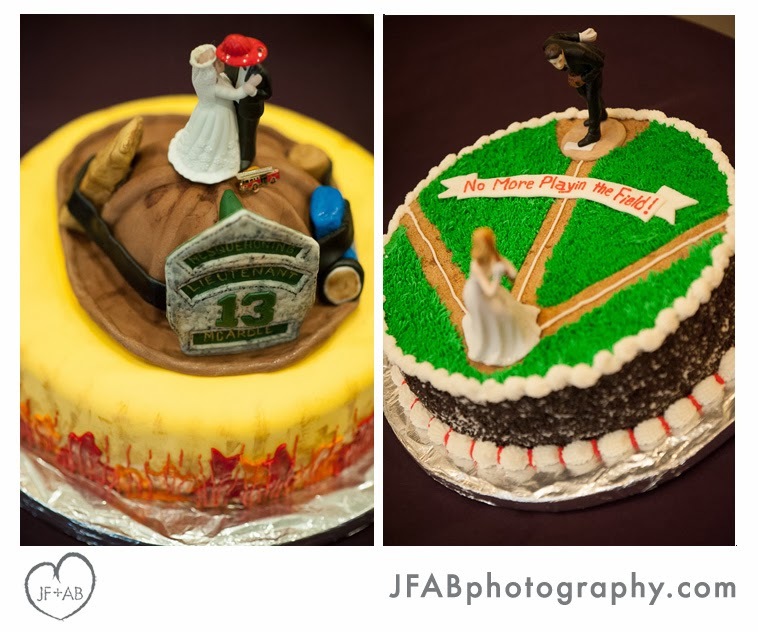 All these efforts paid off in adding up to a wonderful celebration! 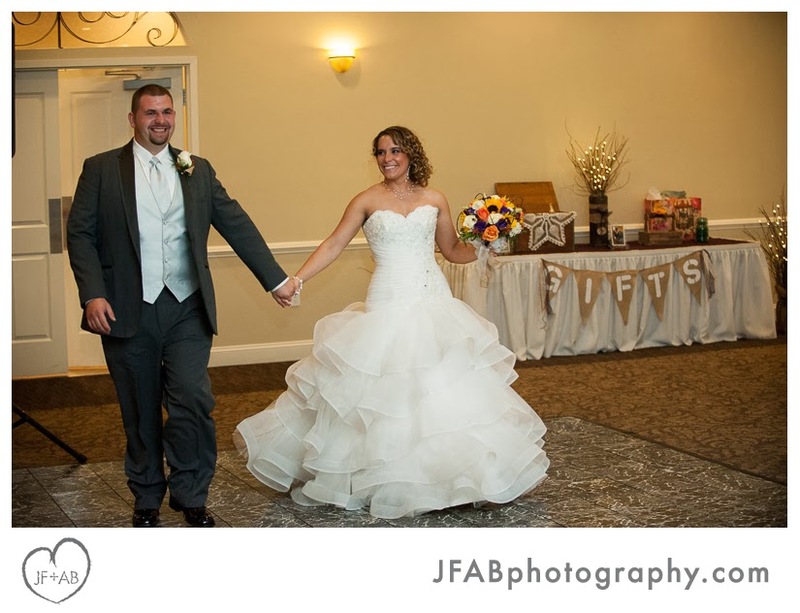 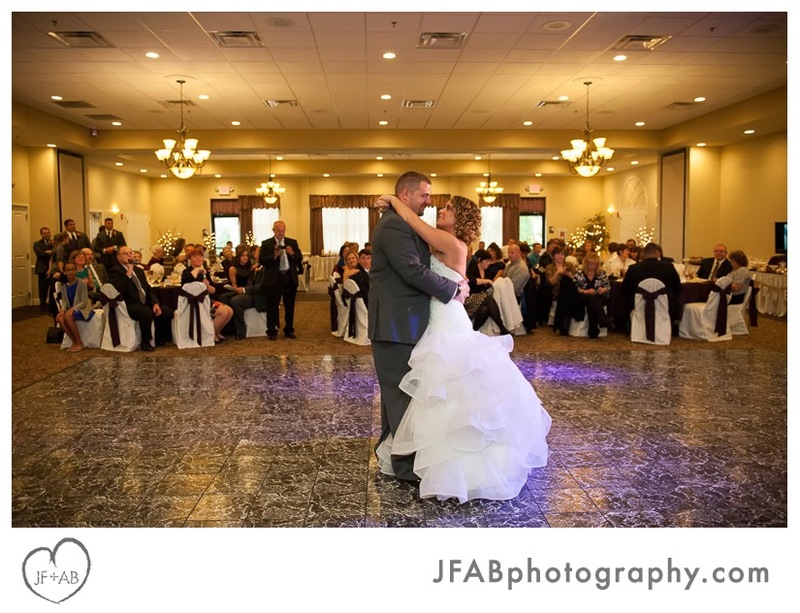 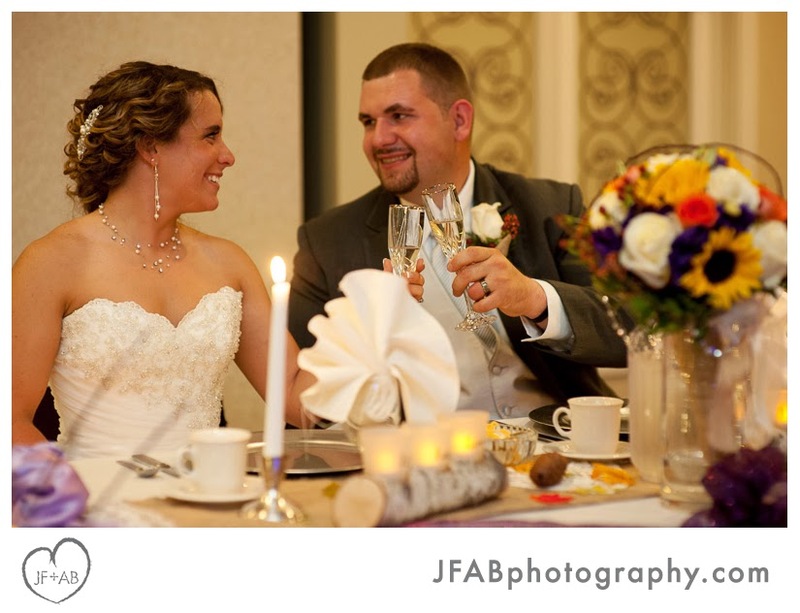 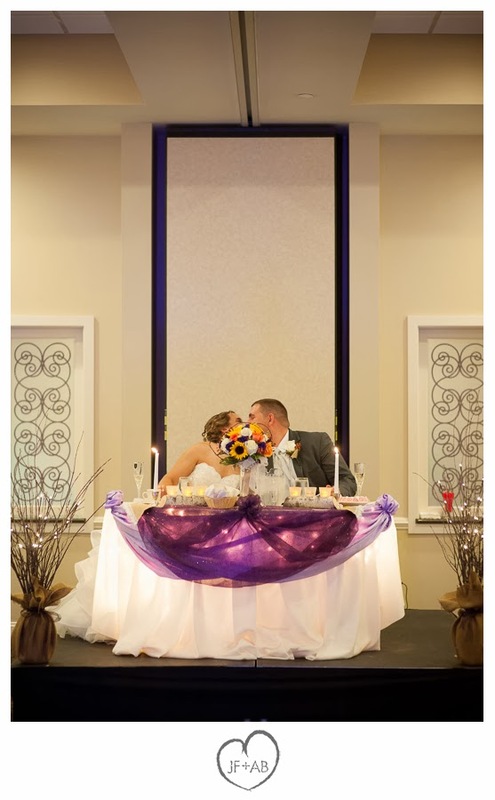 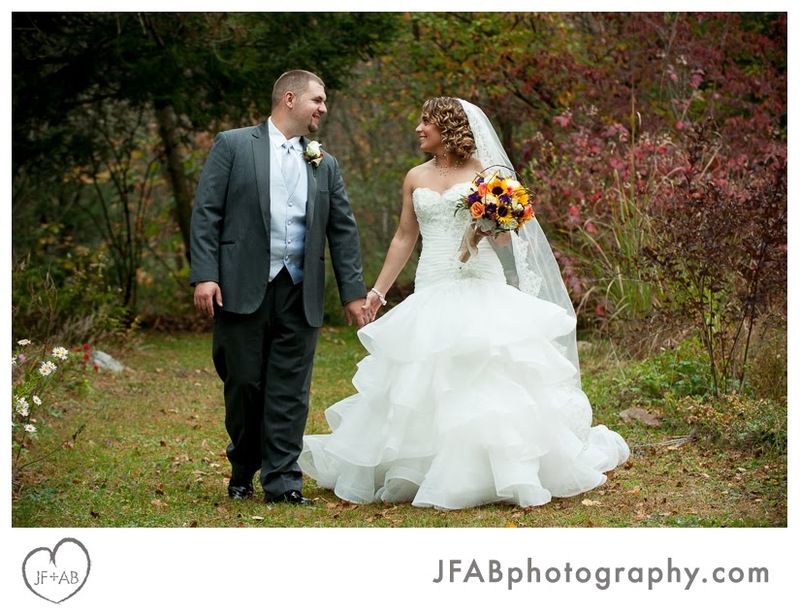 Thank you Gina and Brenden for trusting us to be your photographers. 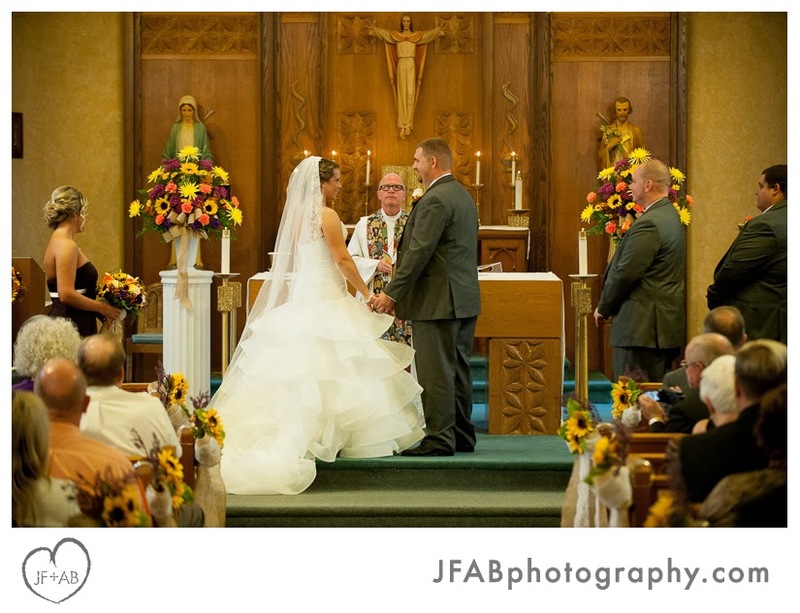 Scroll on to check out our favorite moments from the day! 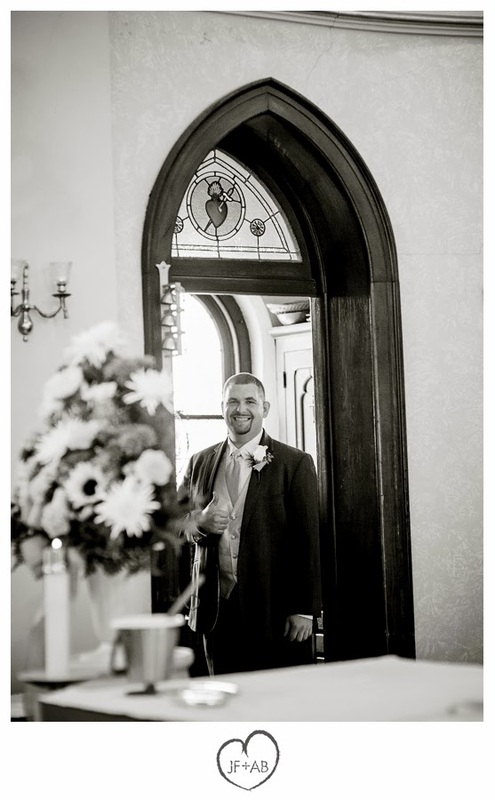 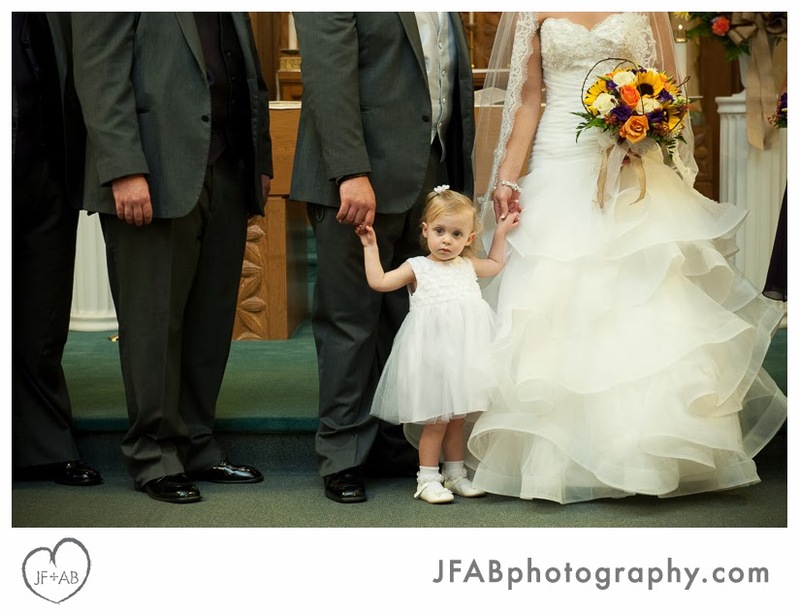 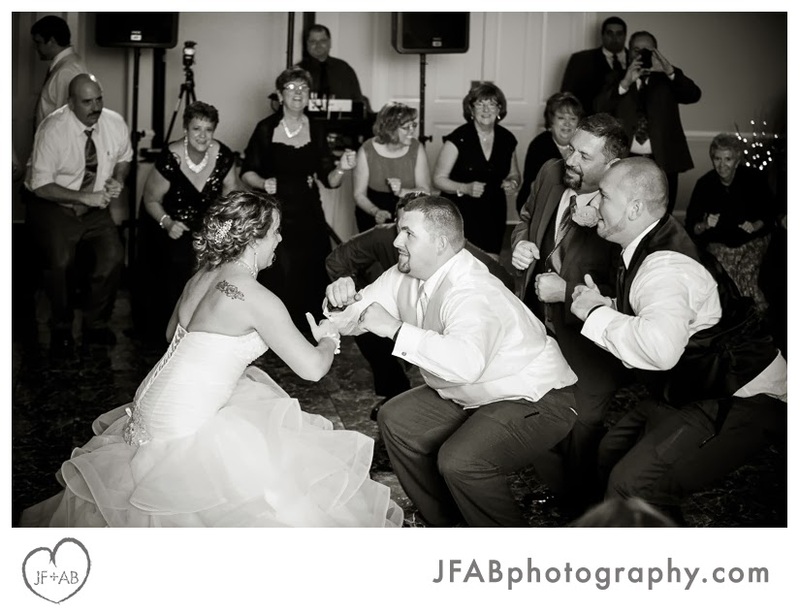 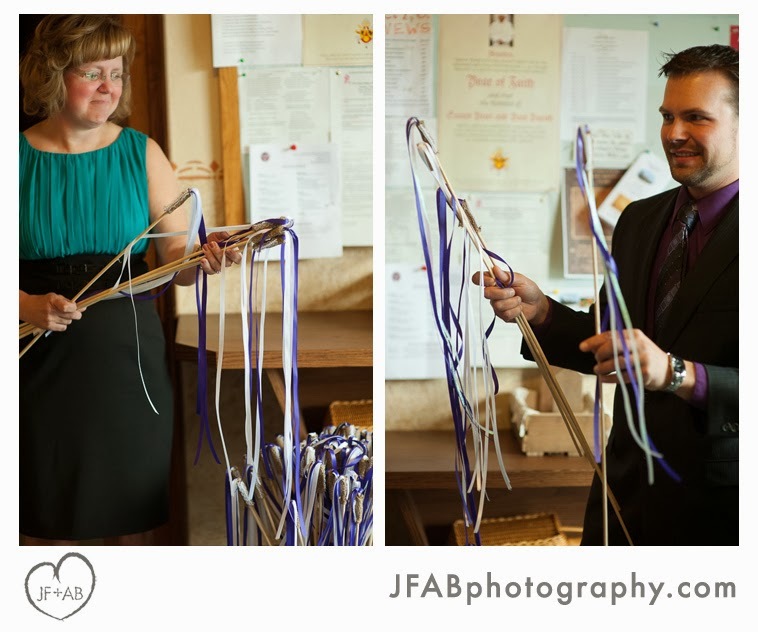 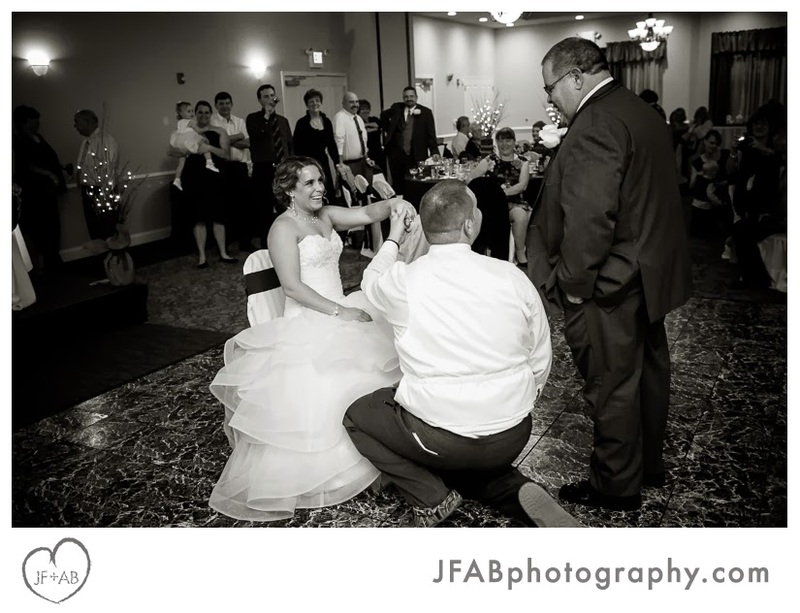 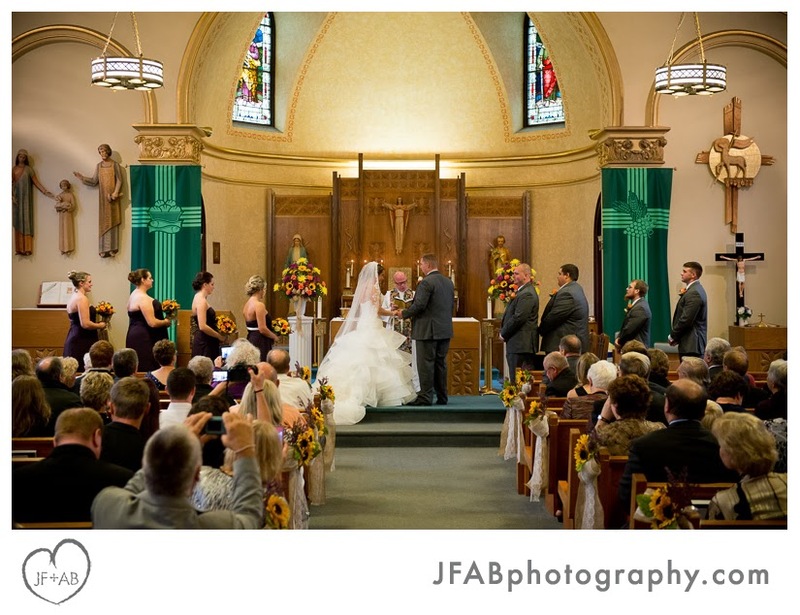 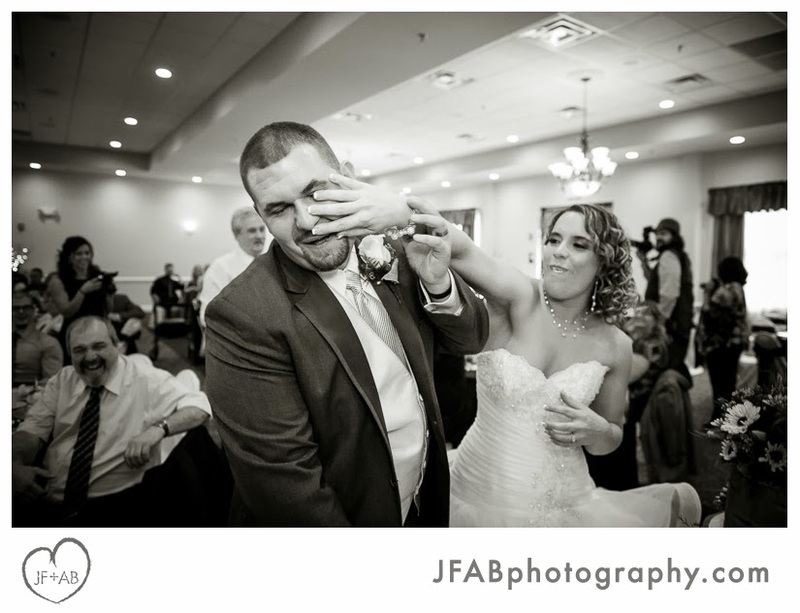 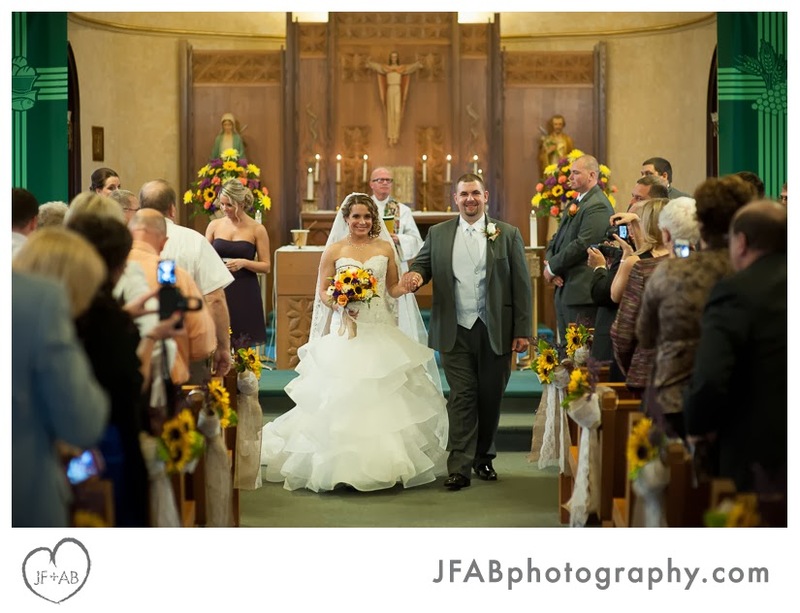 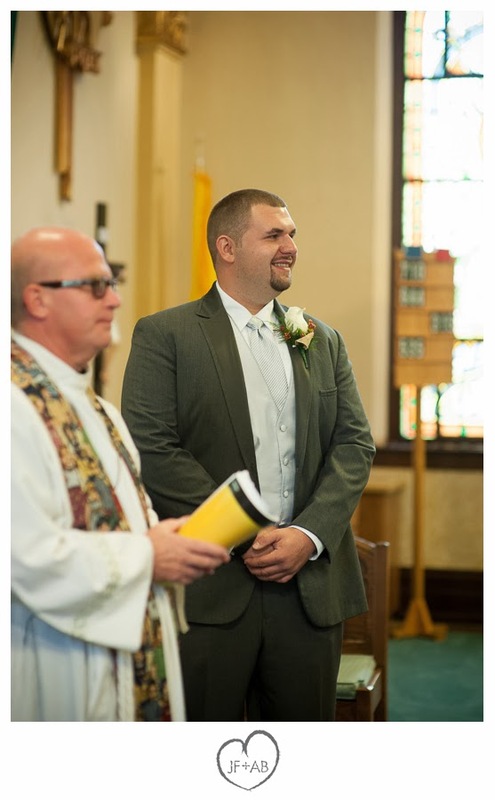 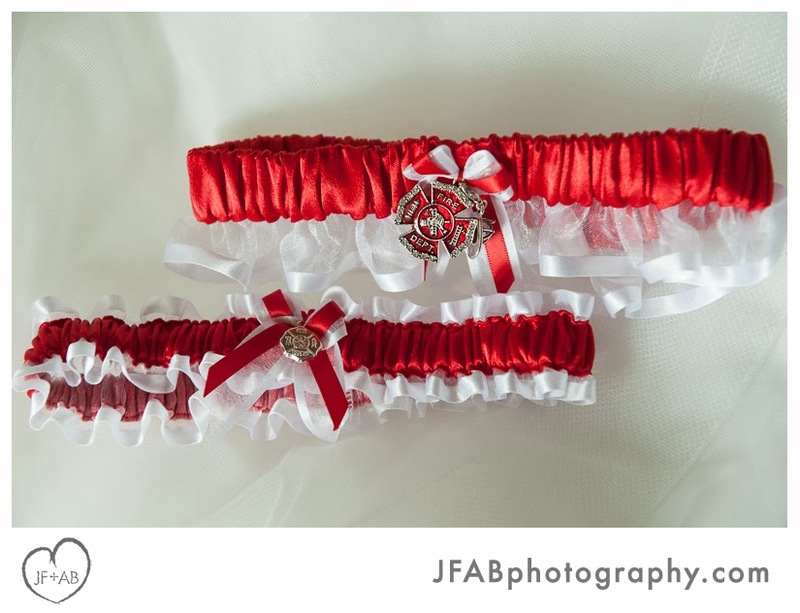 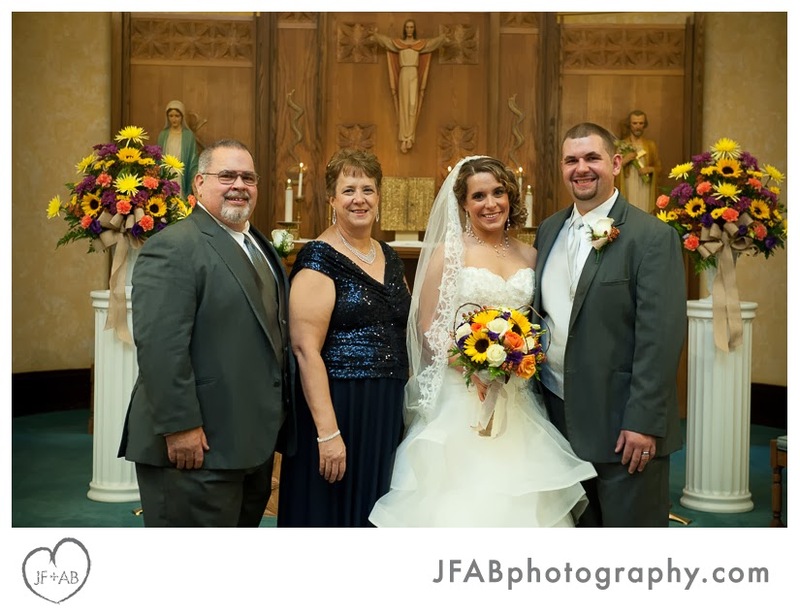 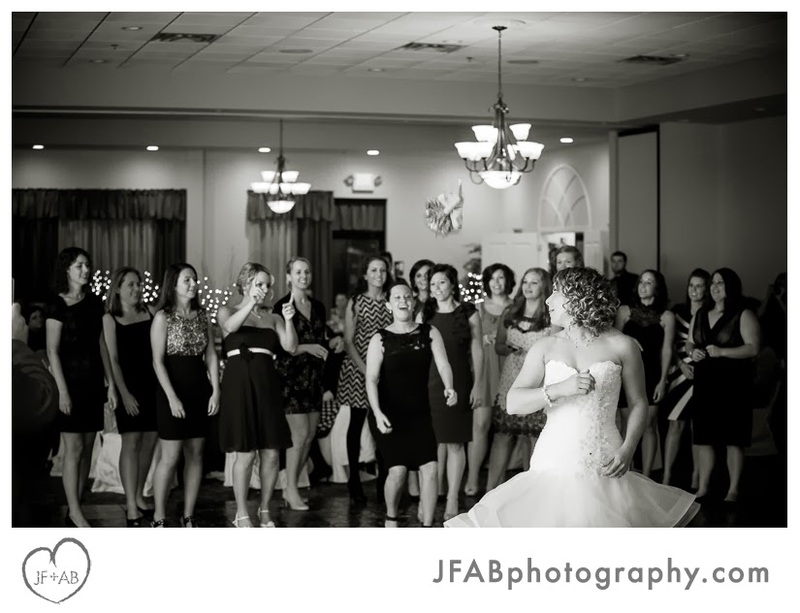 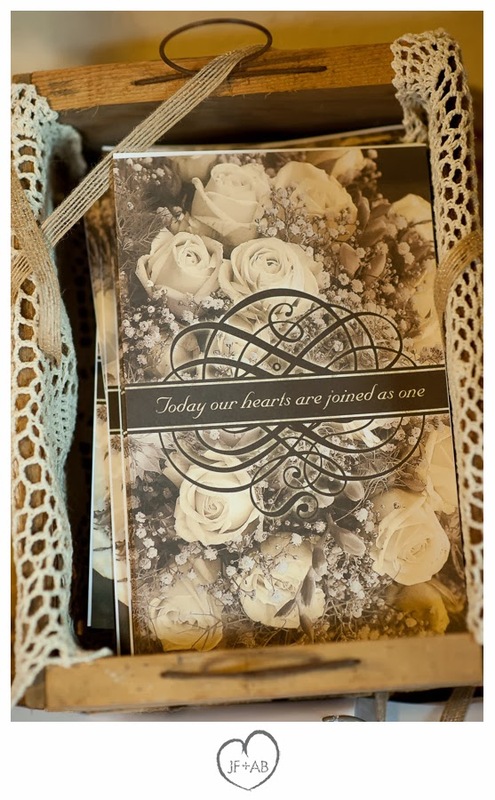 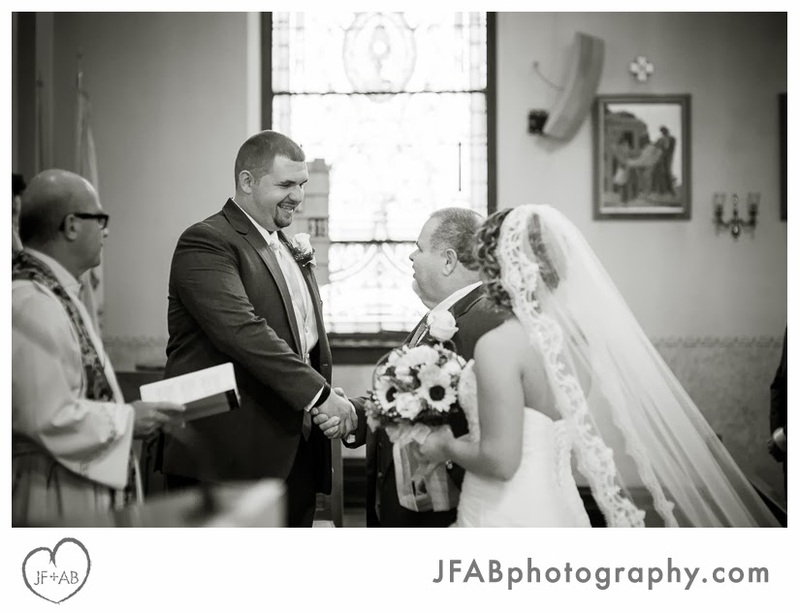 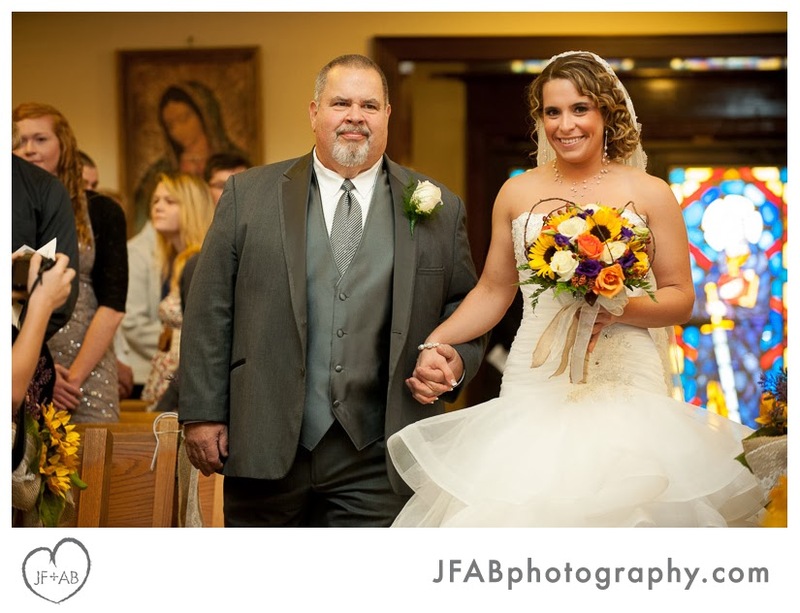 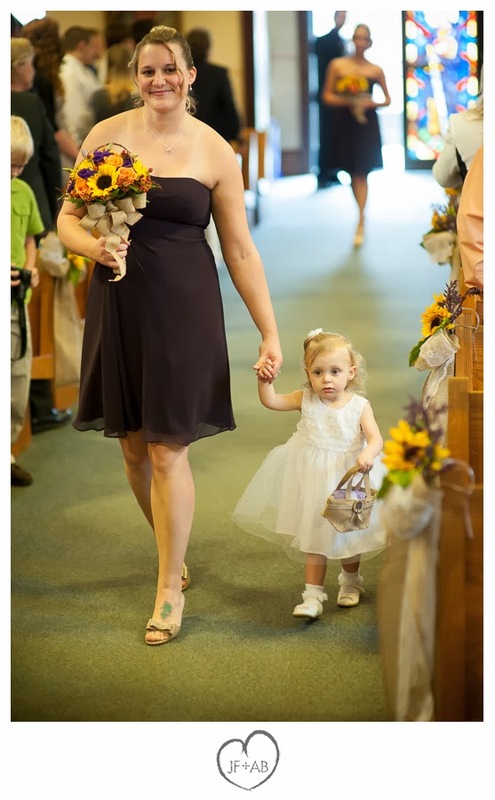 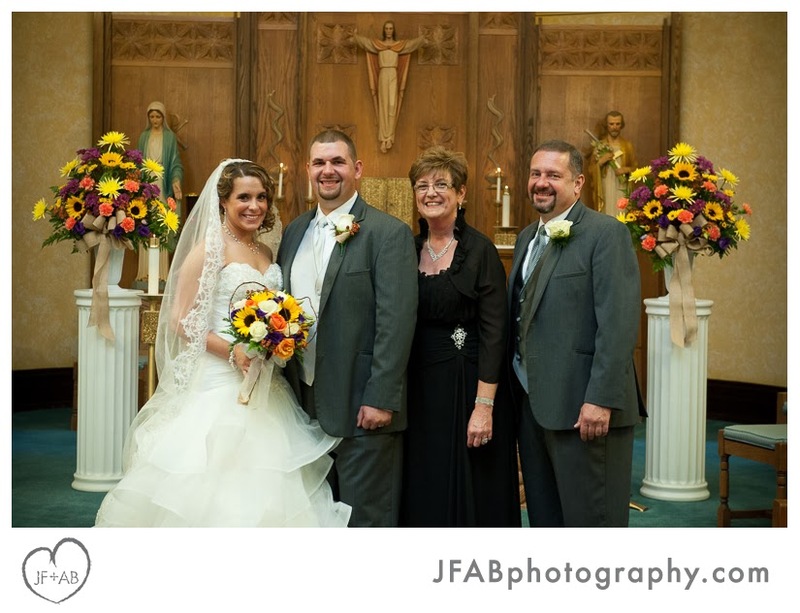 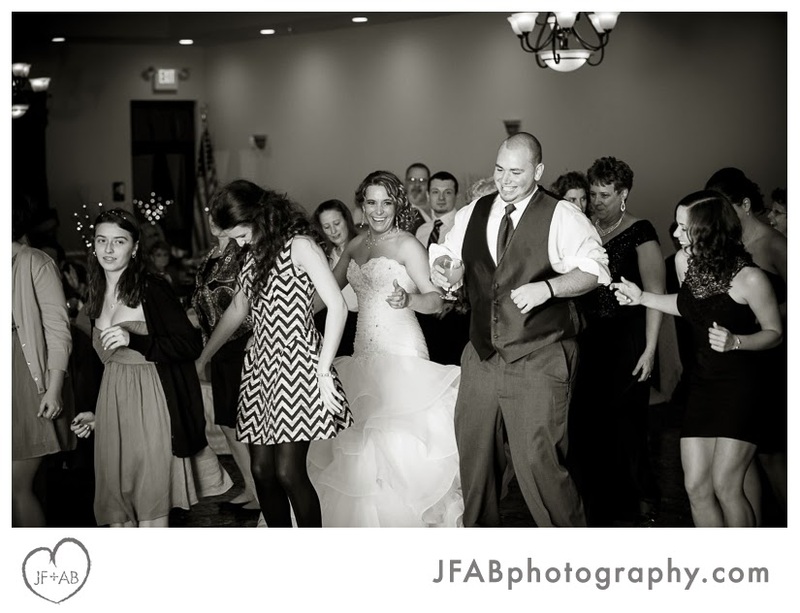 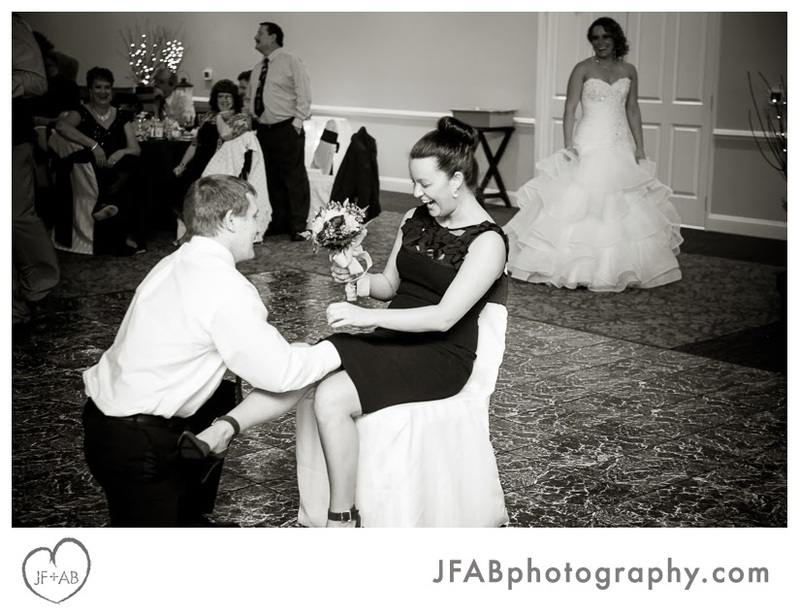 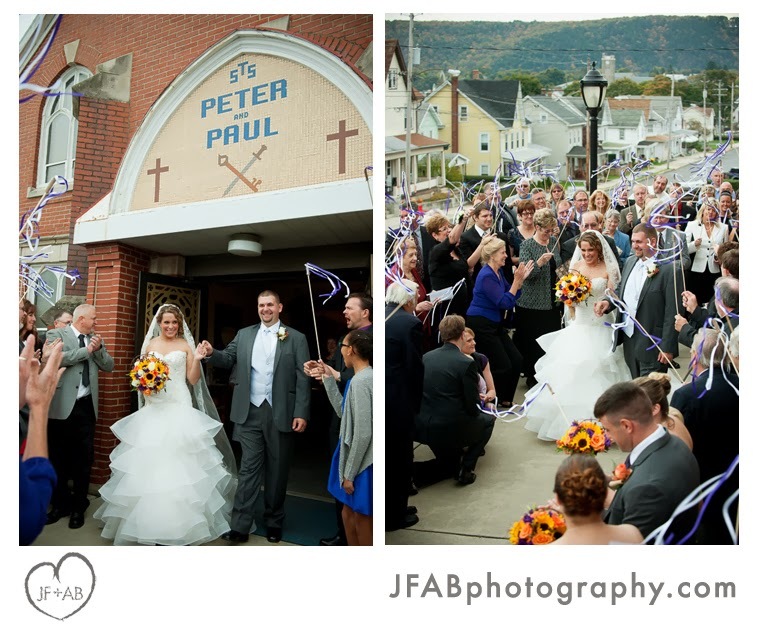 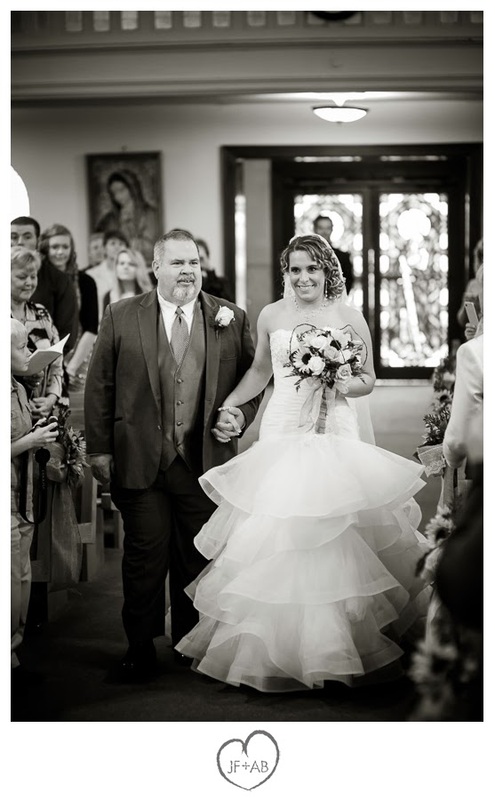 Credits: Wedding at Saint Peter and Paul's Catholic Church, Lehighton, PA. 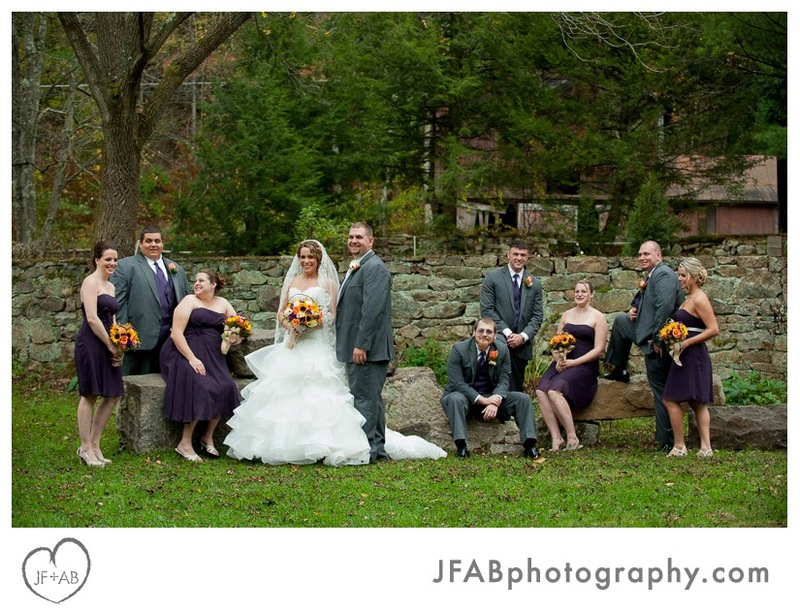 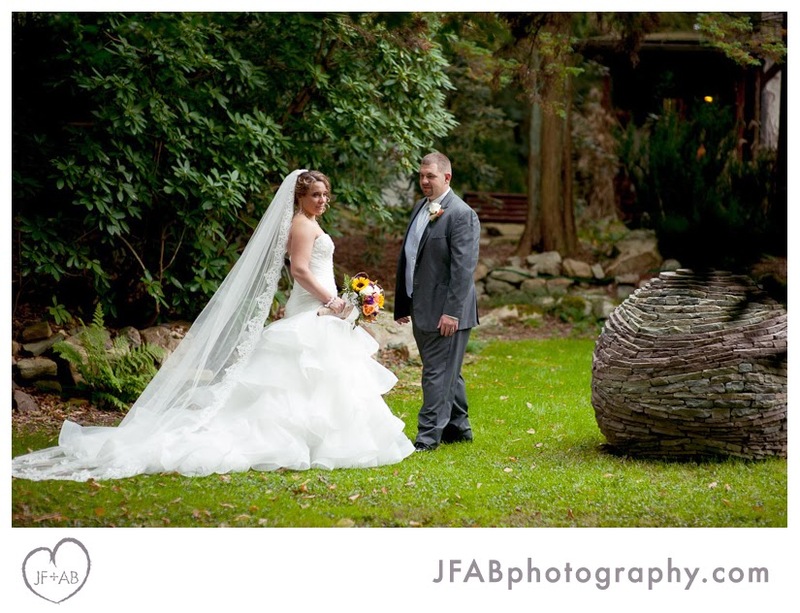 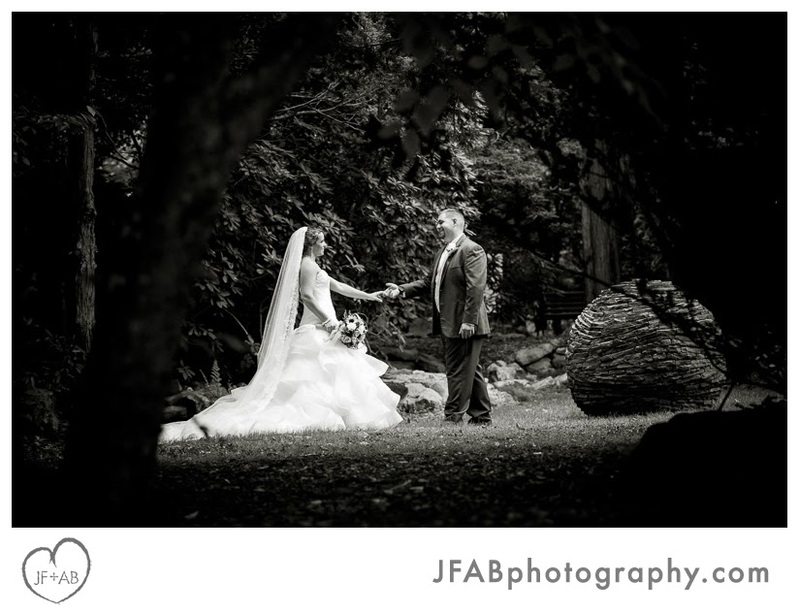 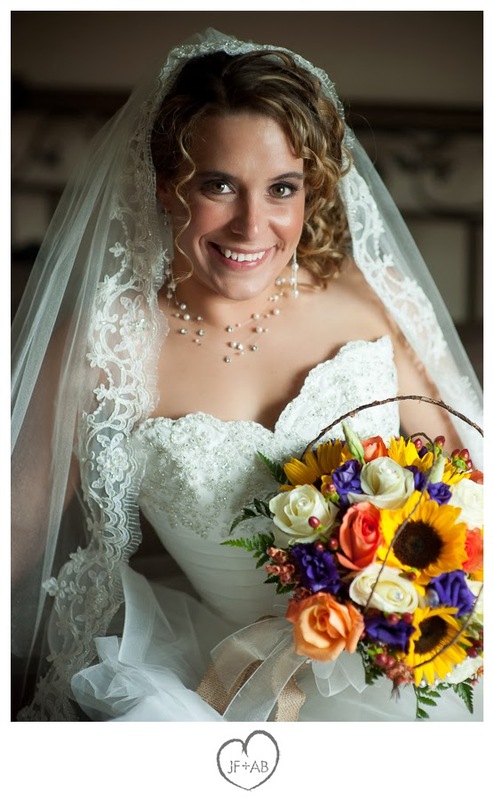 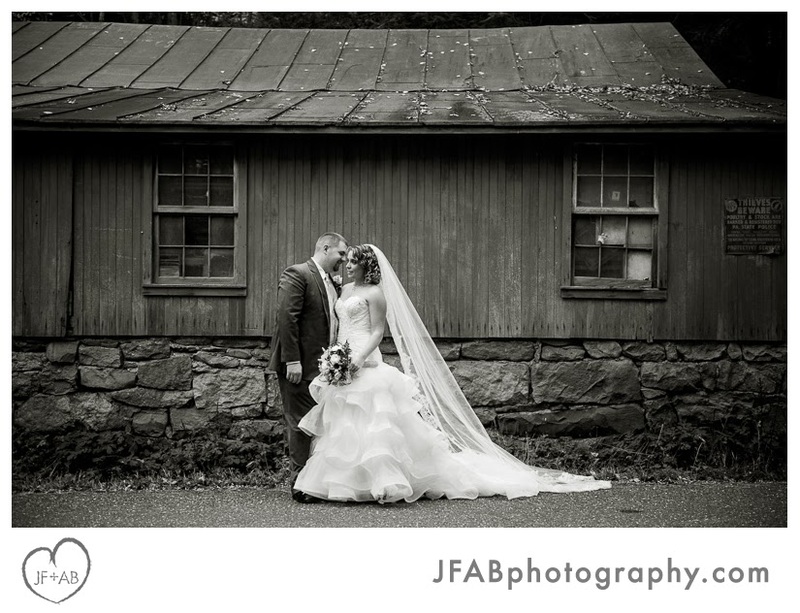 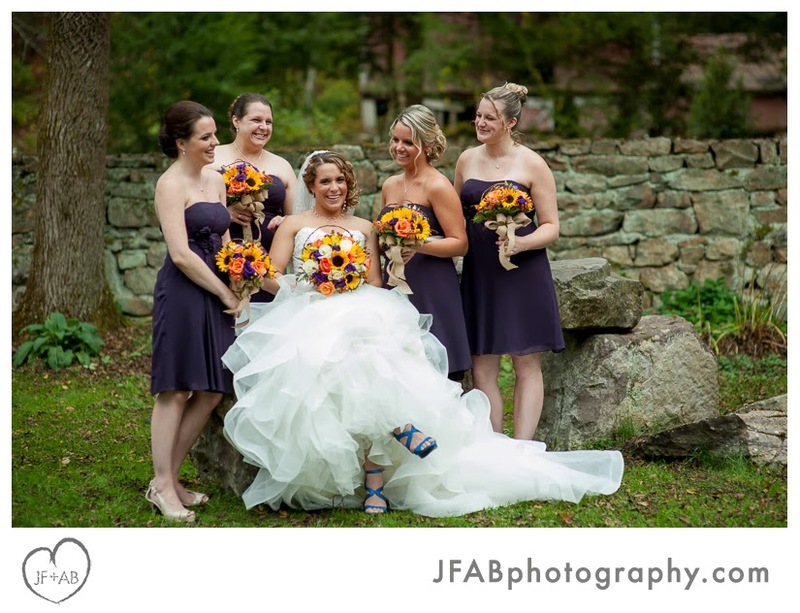 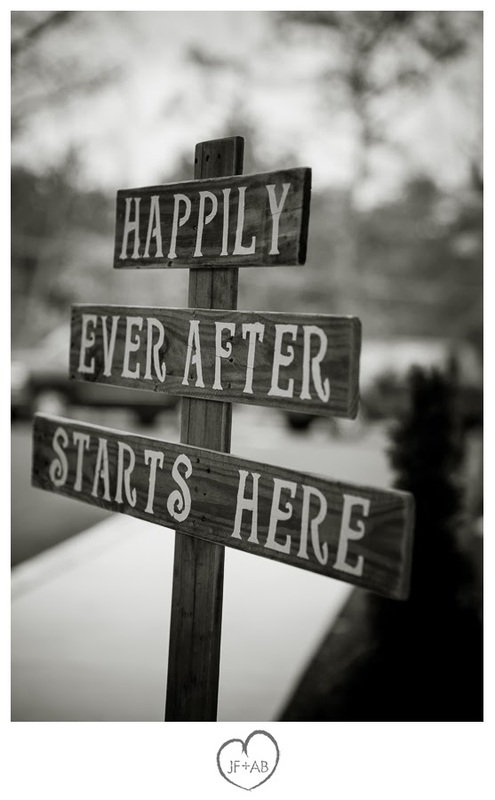 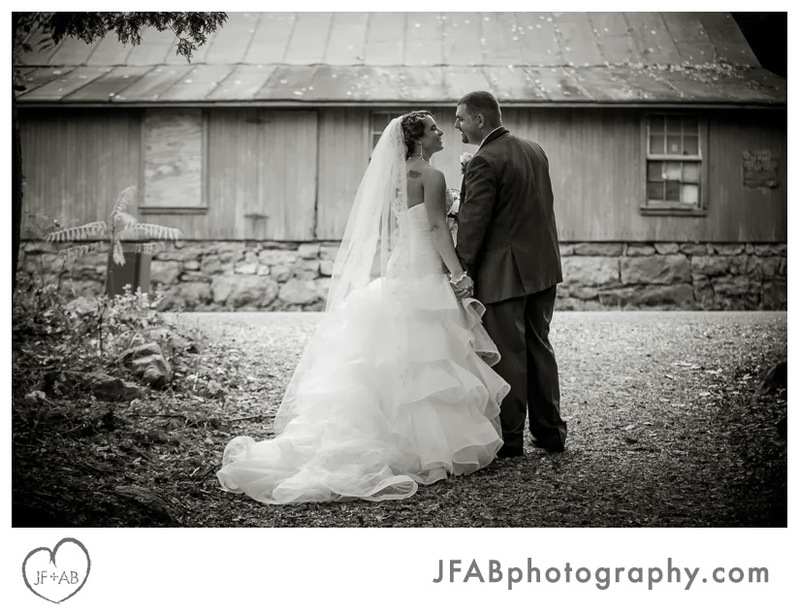 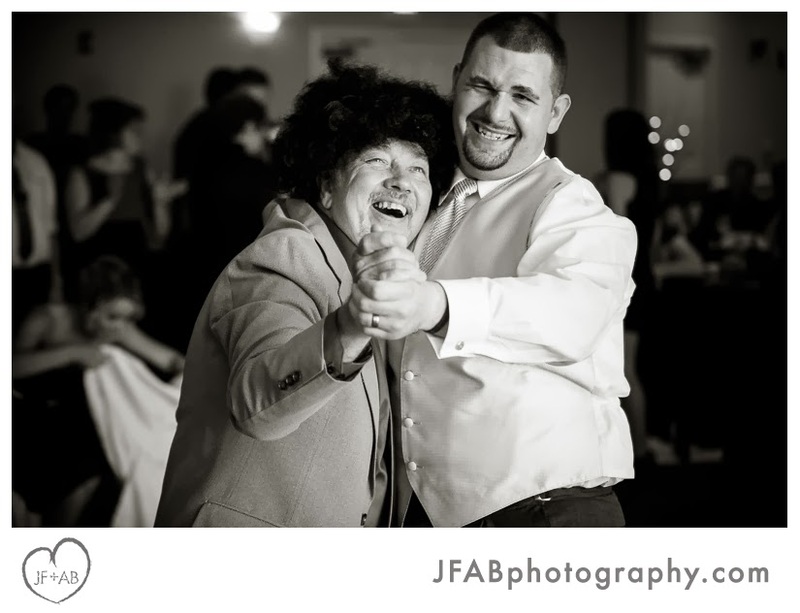 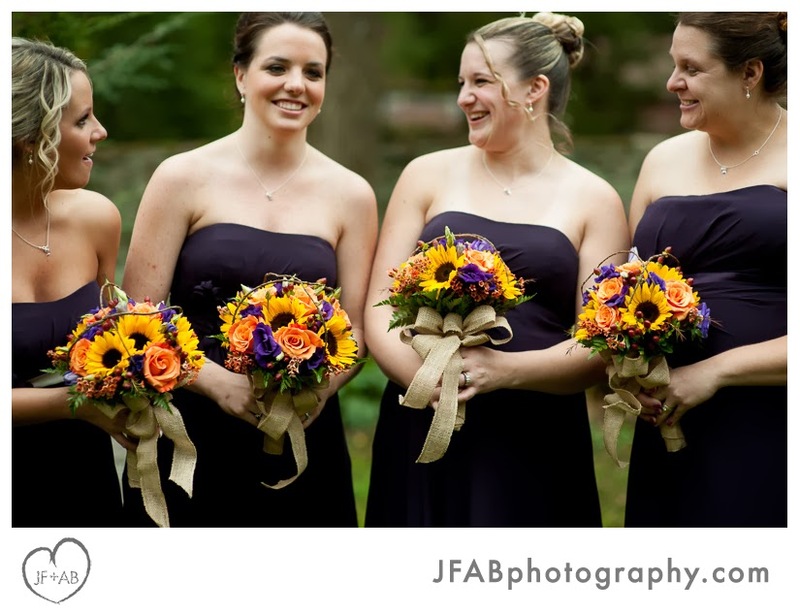 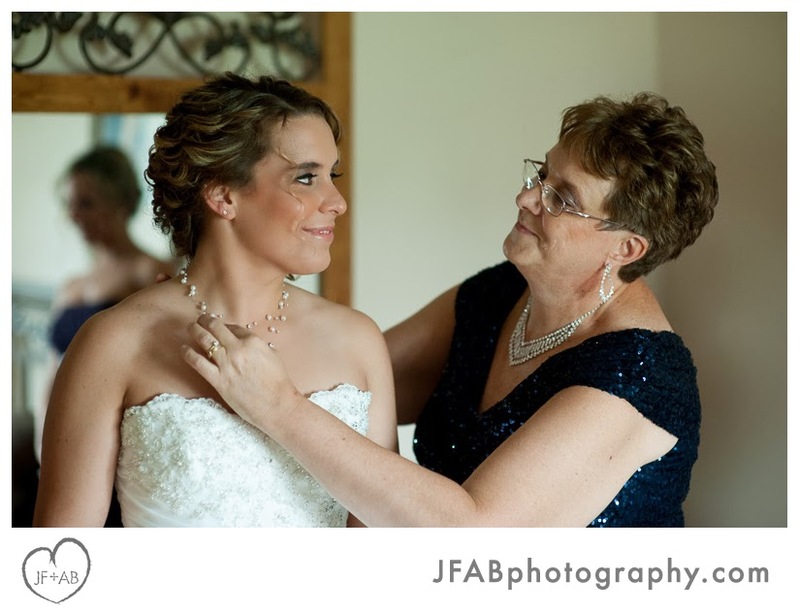 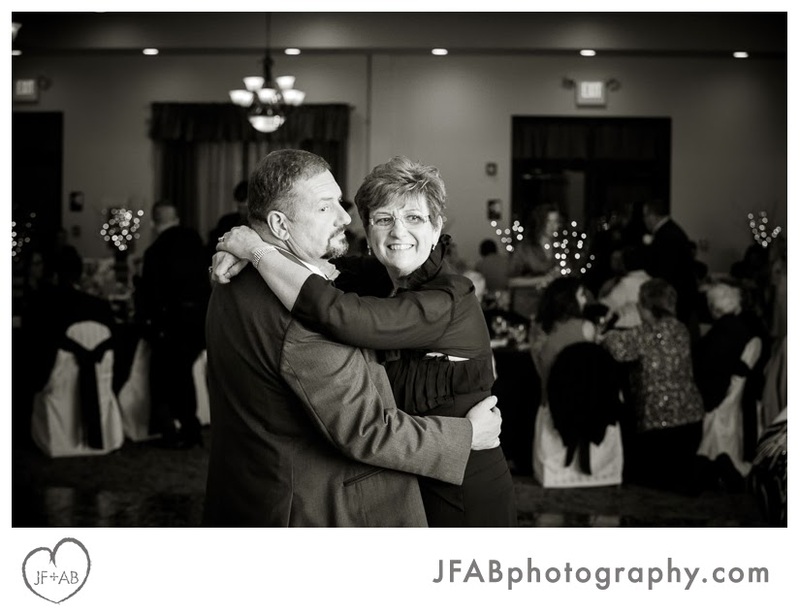 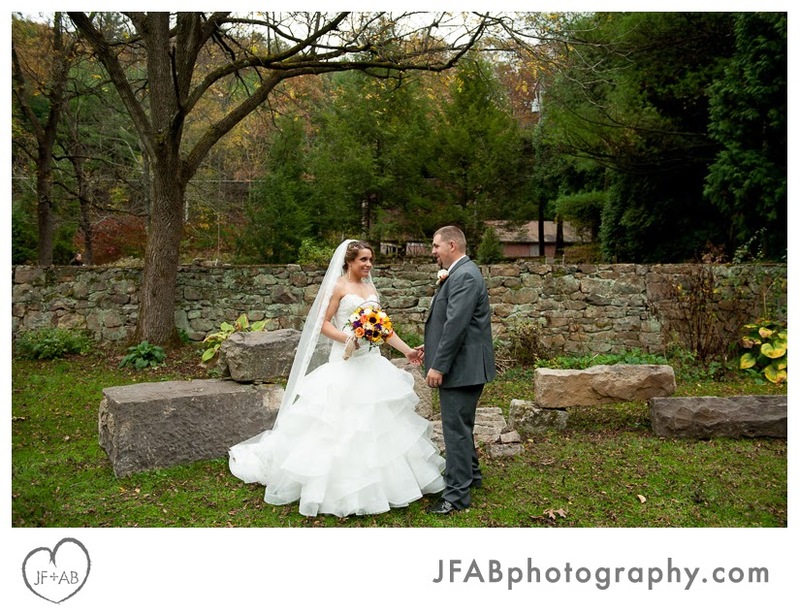 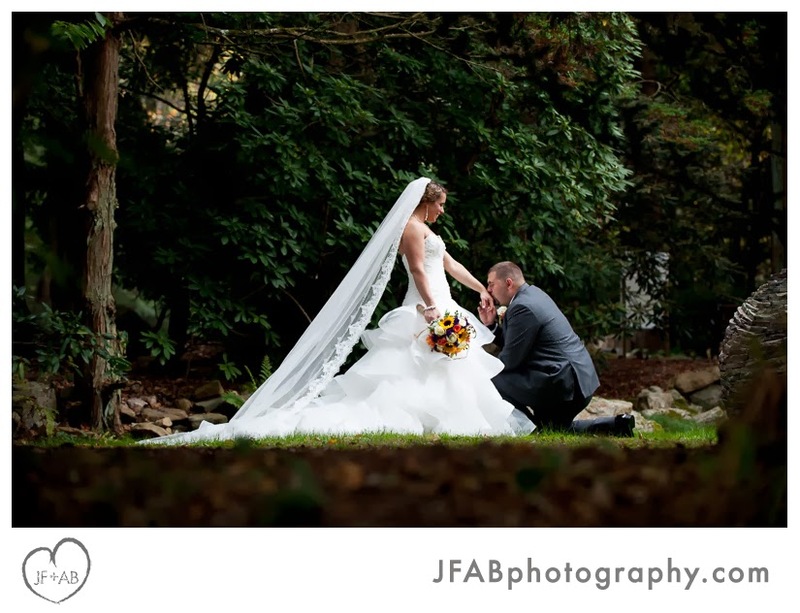 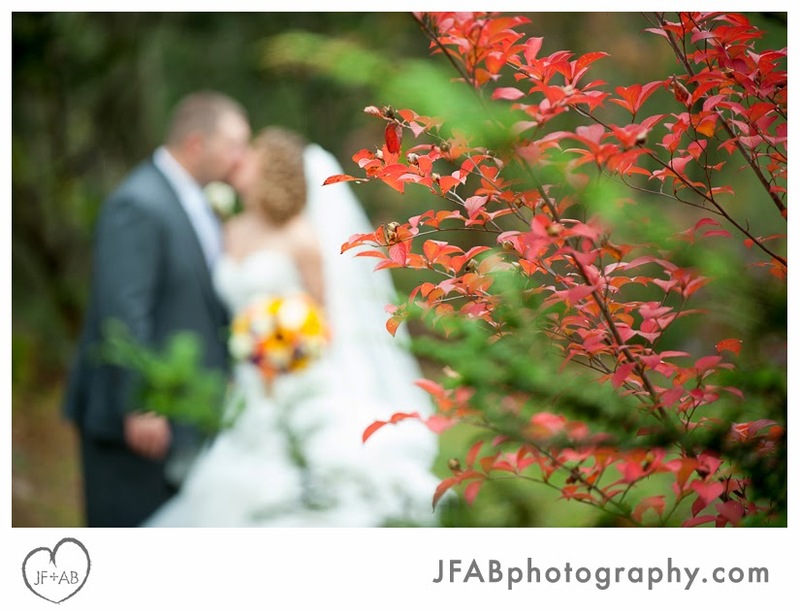 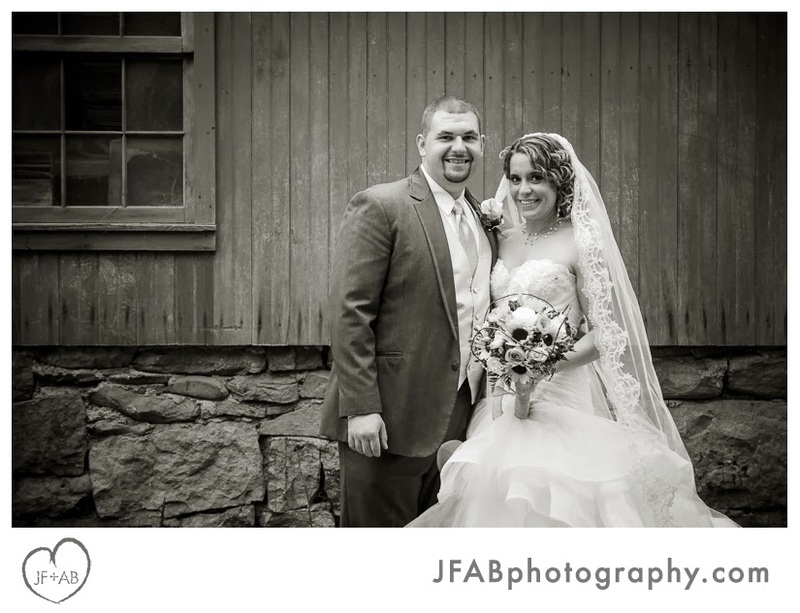 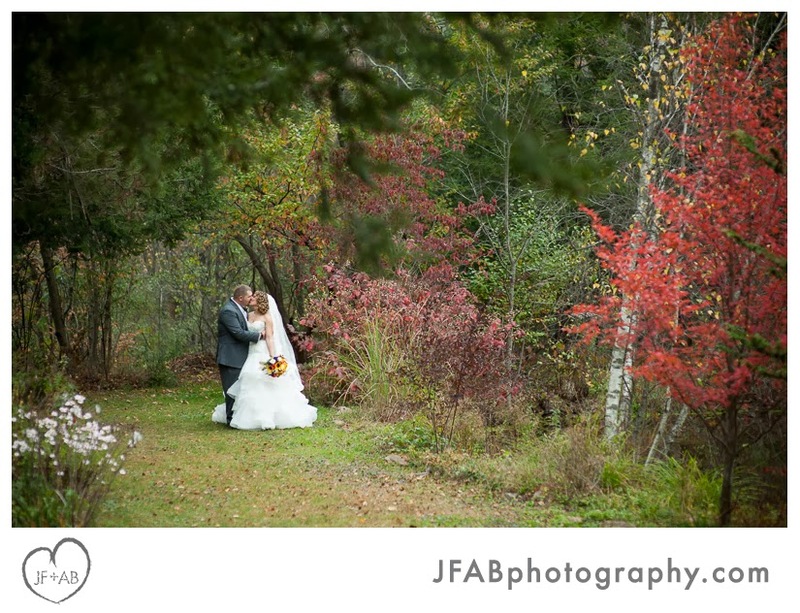 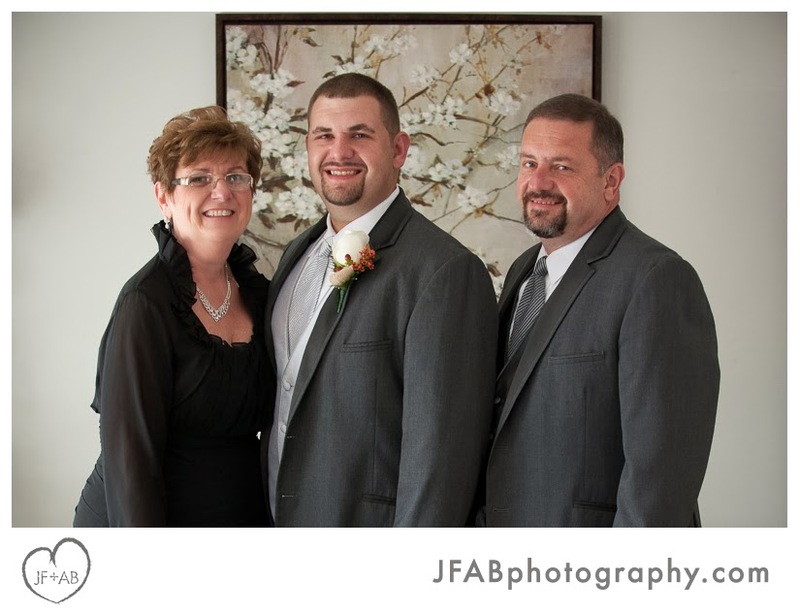 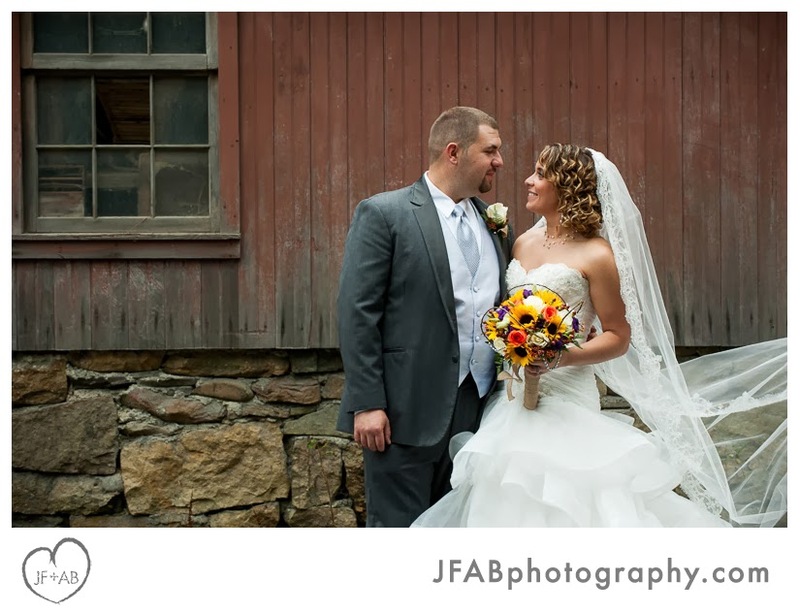 Wedding photos at Stone Hedge Gardens in Tamaqua, PA. 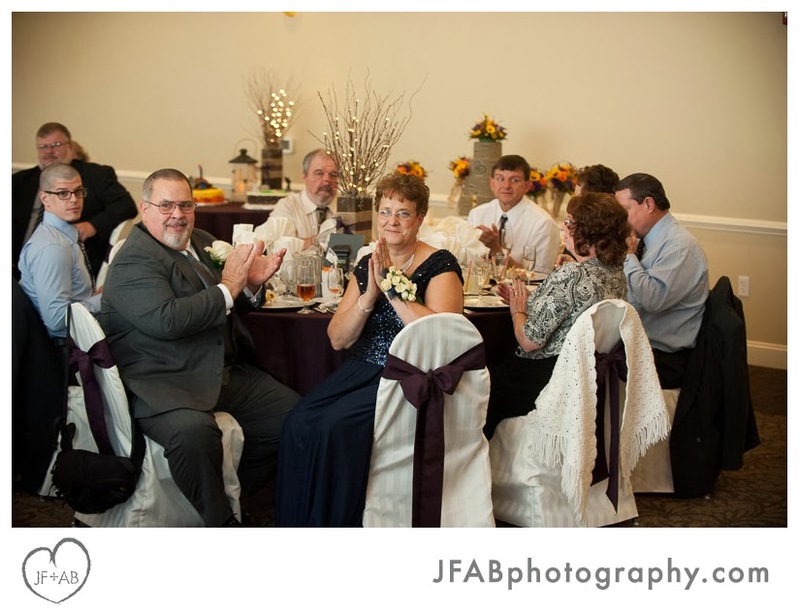 Wedding reception at Capriotti's in McAdoo. 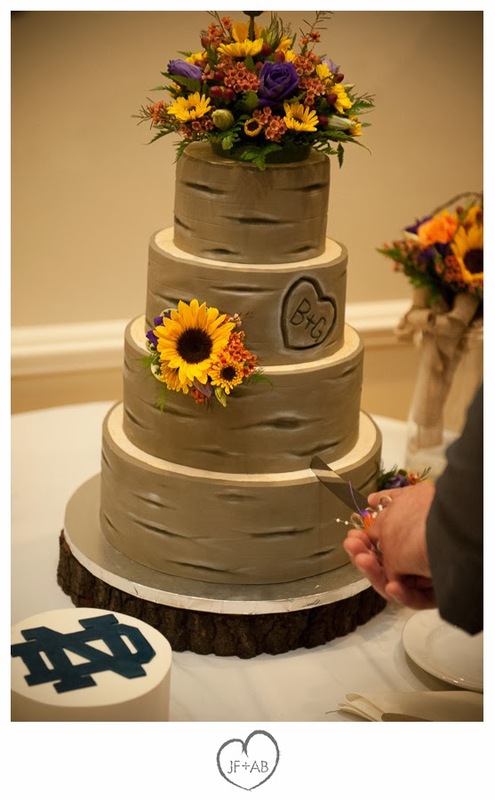 Wedding cake by Infinite Sweets. 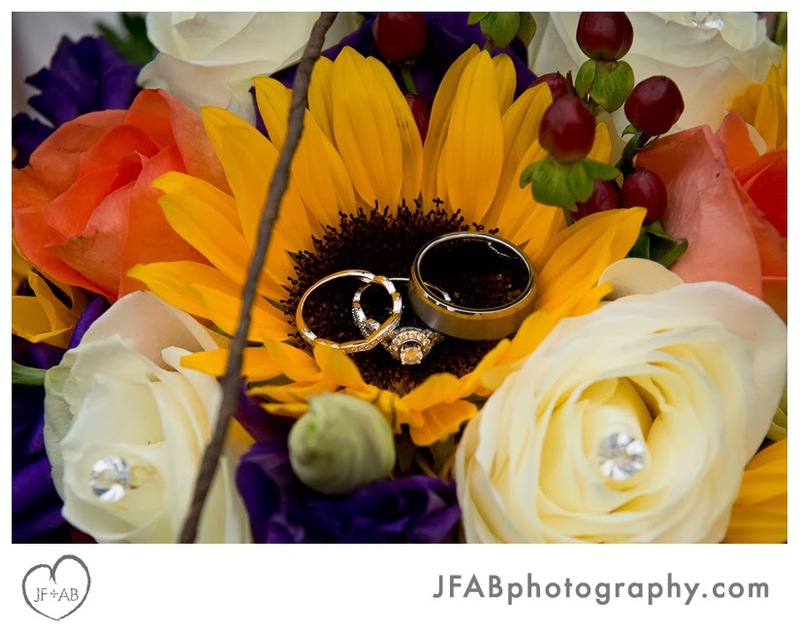 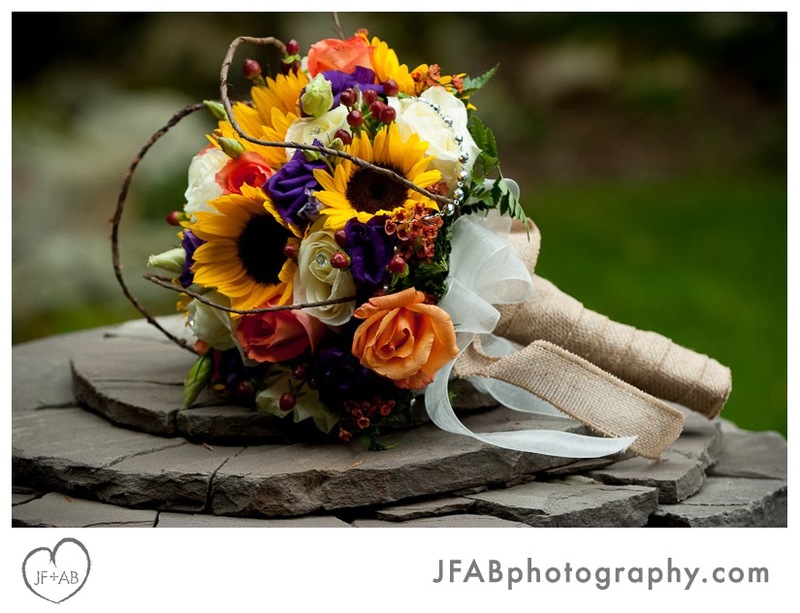 Wedding flowers by Edwards Florals. 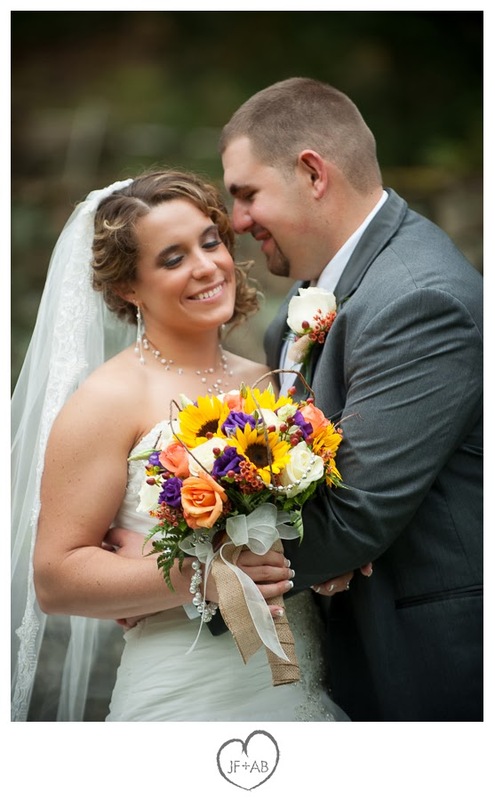 Hair and make-up by Rumors Salon, Lehighton. 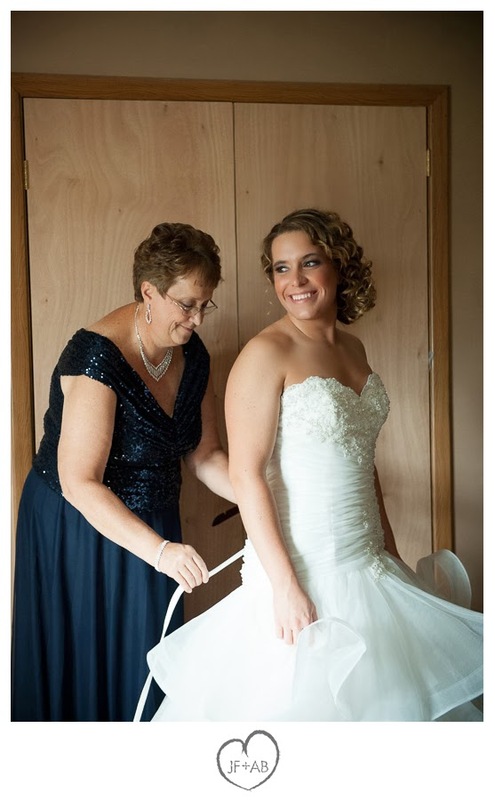 Bride's gown by Maggie Sottero. 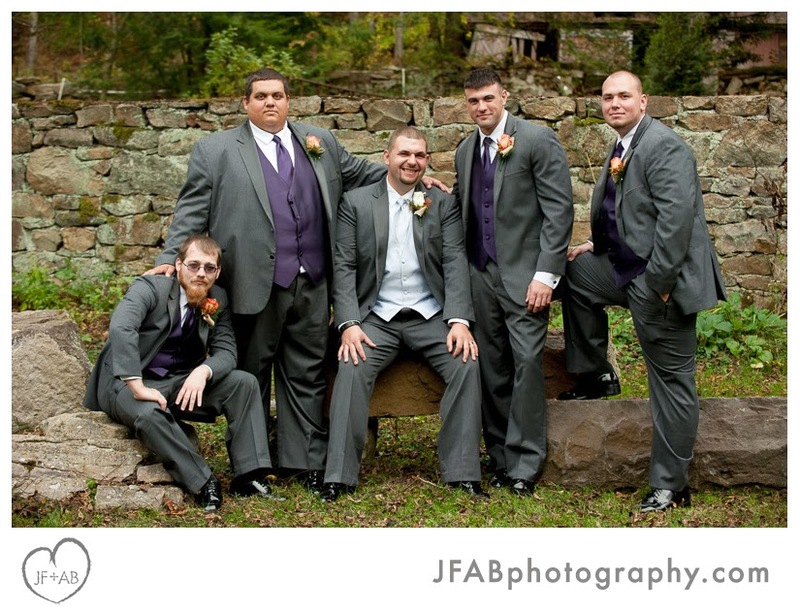 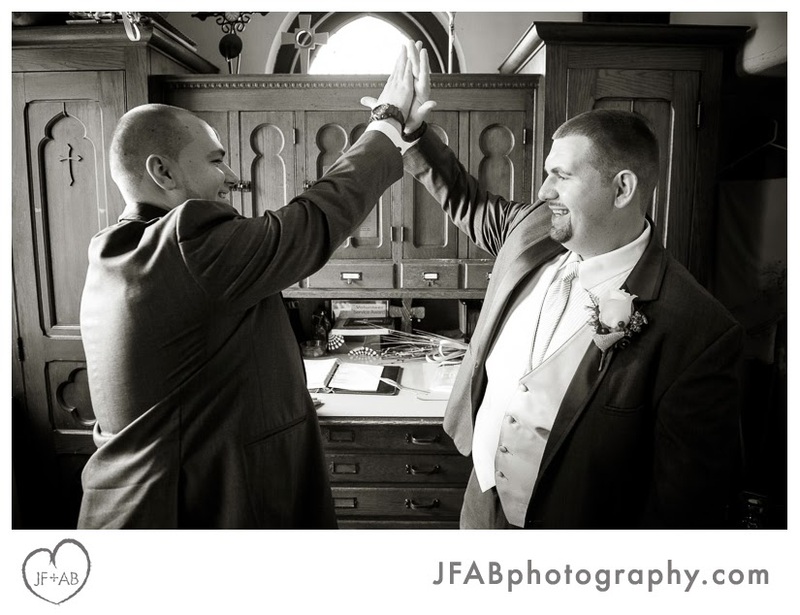 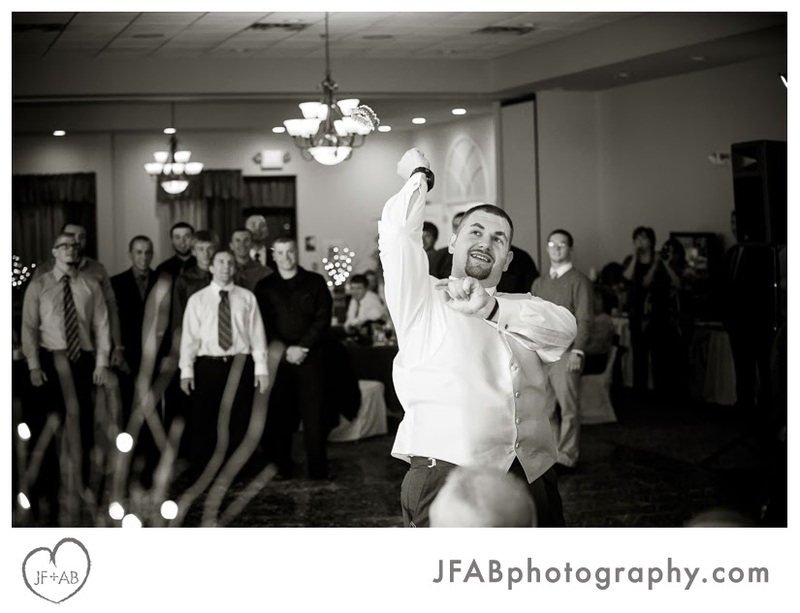 Groom and groomsmen's tuxes - Blocks, Tamaqua.